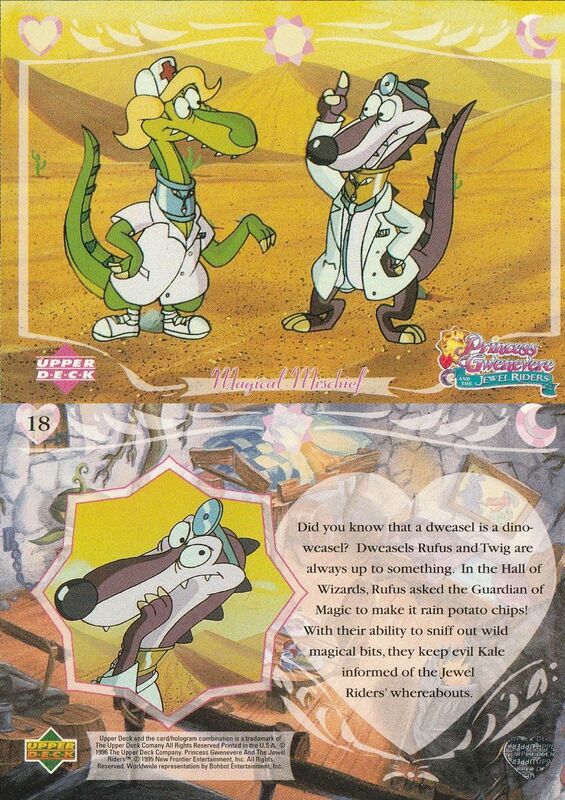 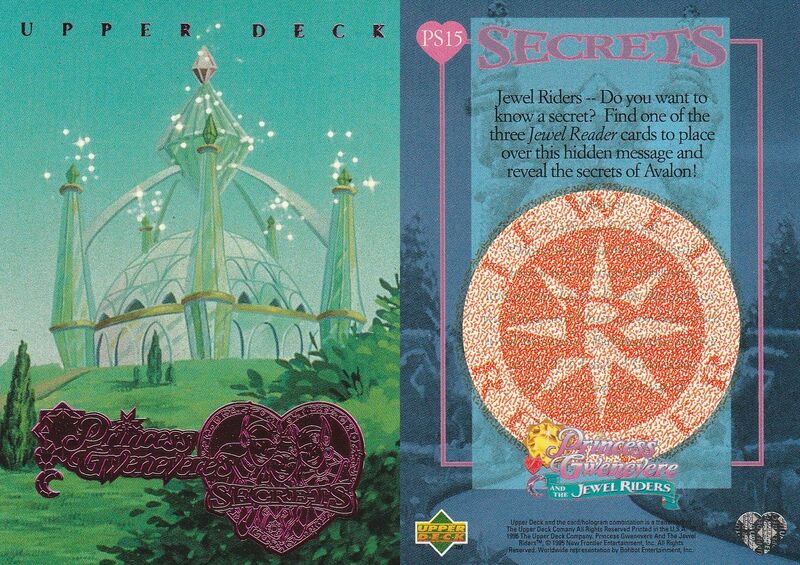 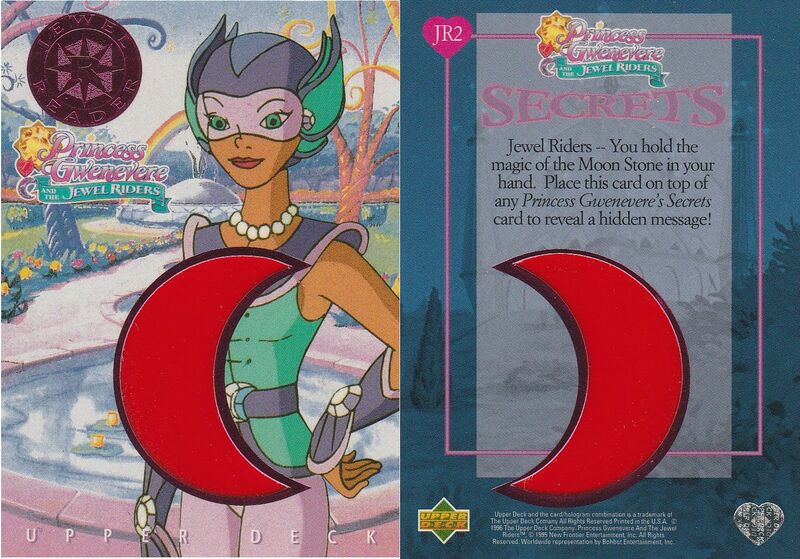 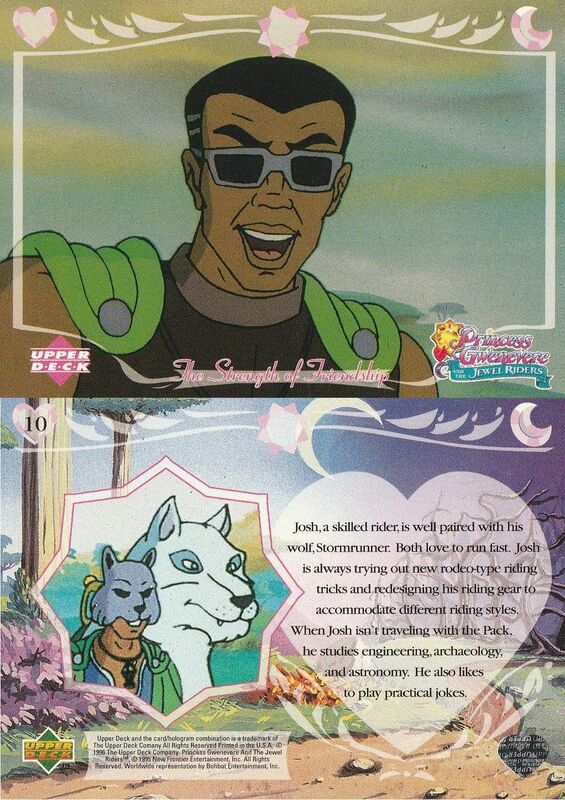 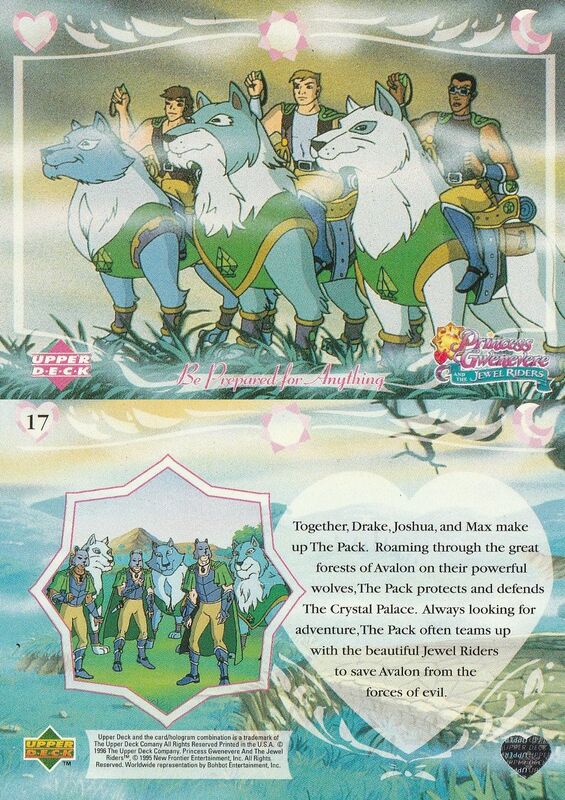 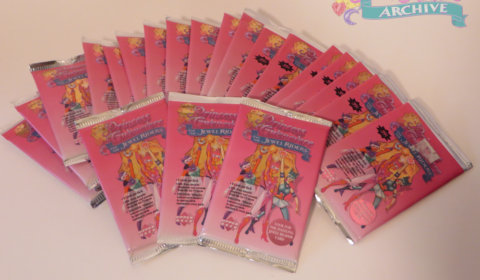 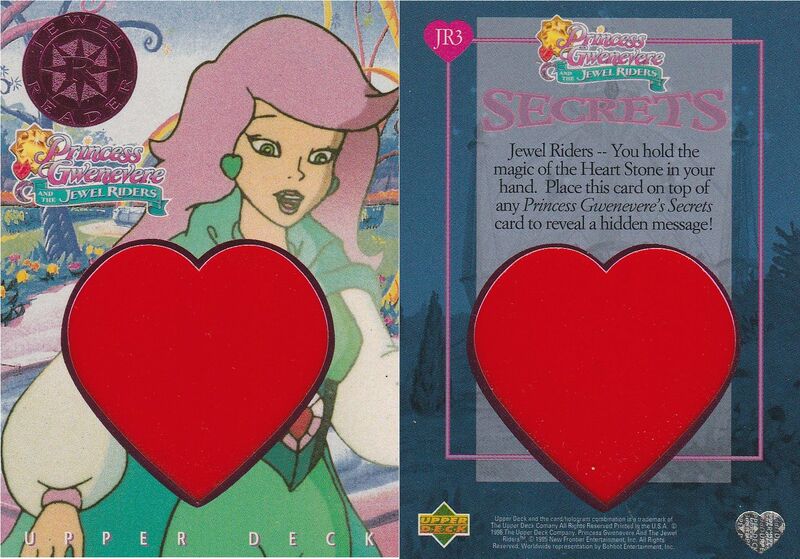 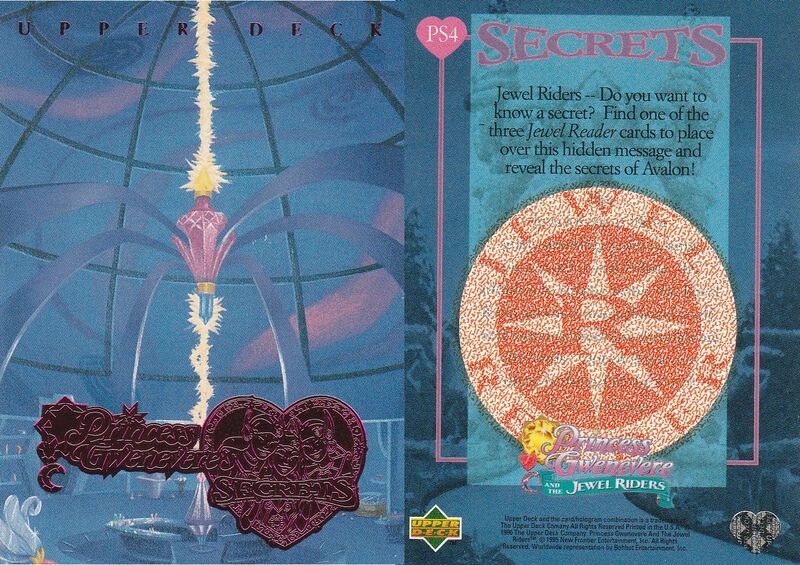 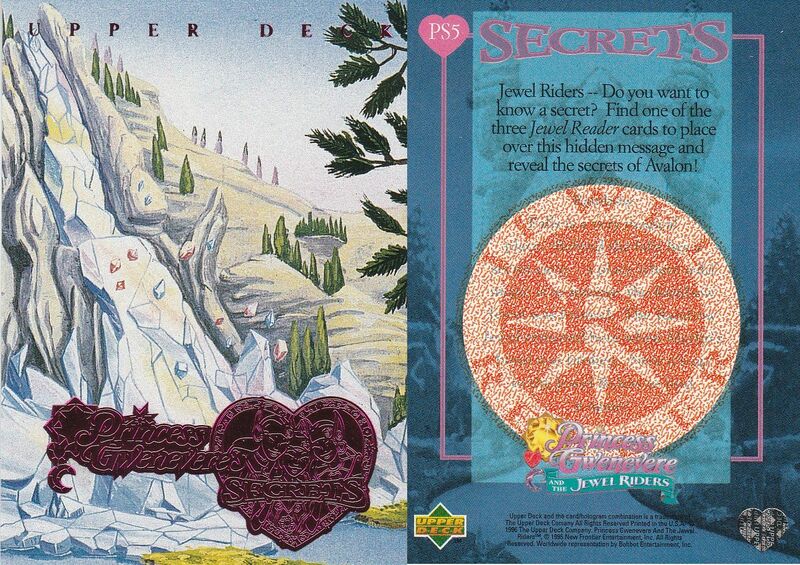 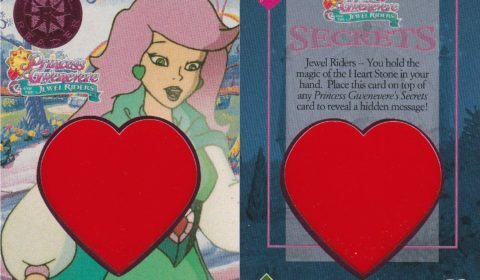 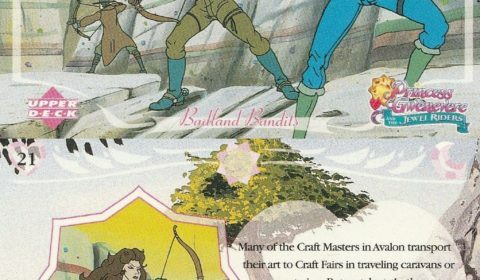 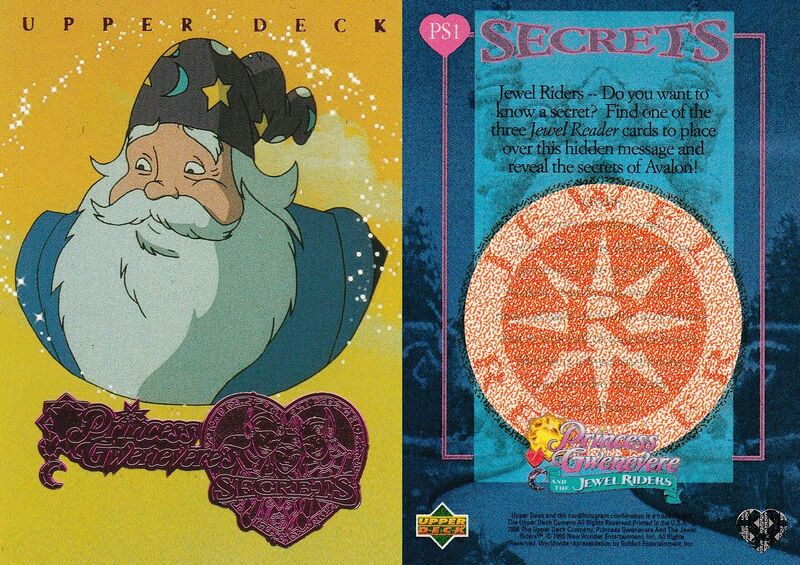 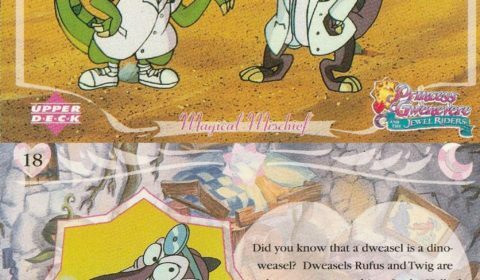 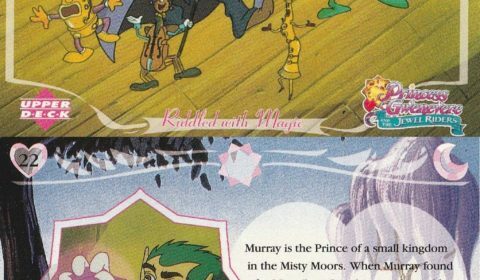 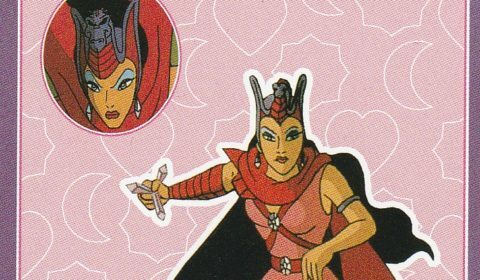 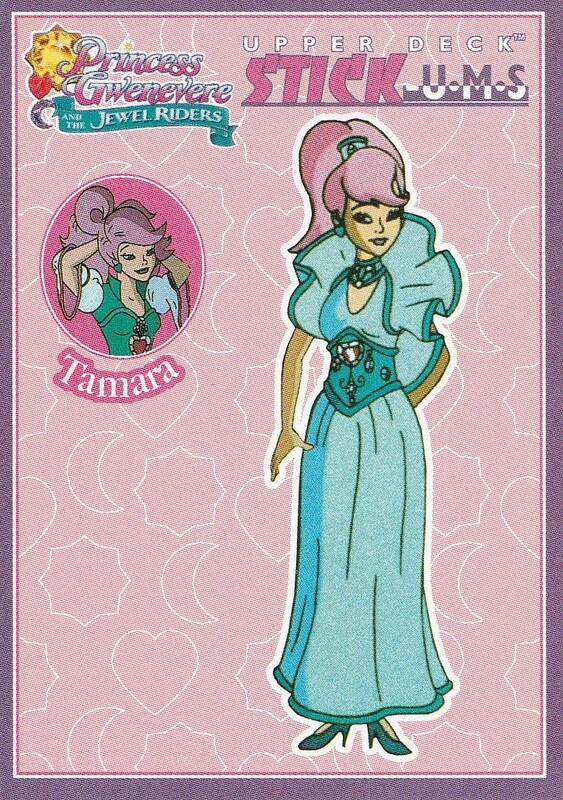 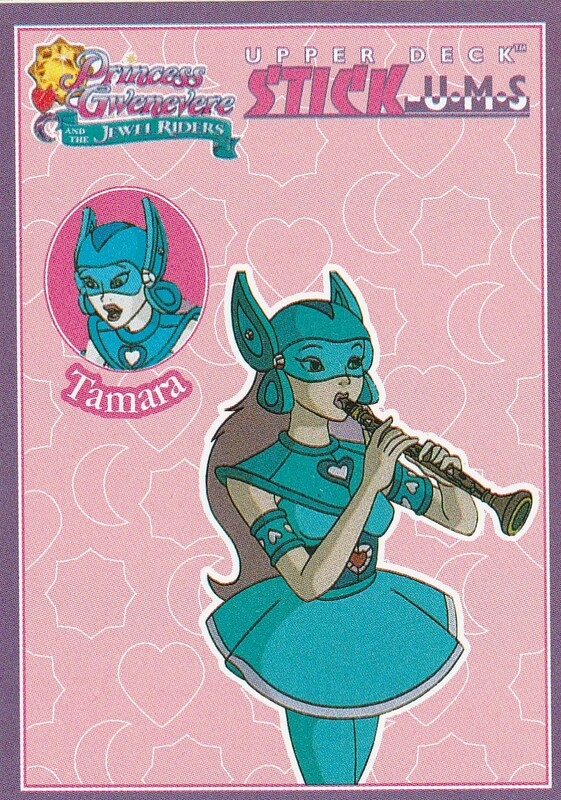 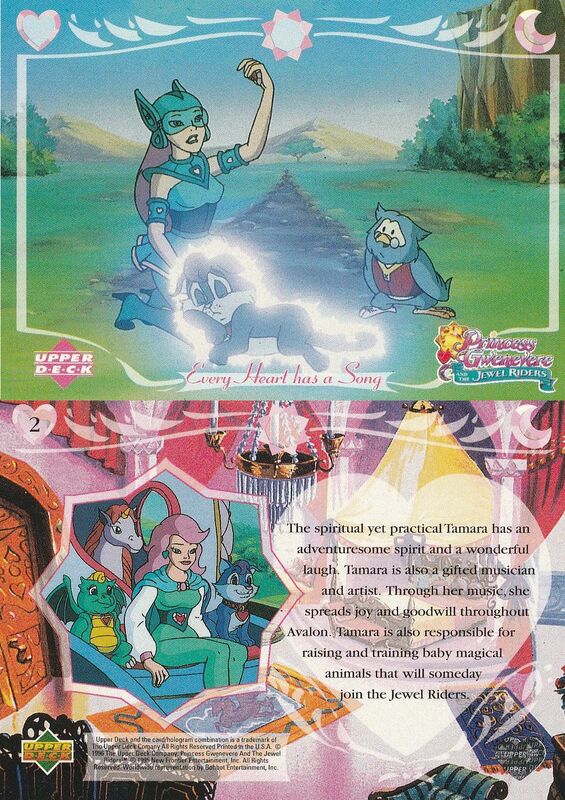 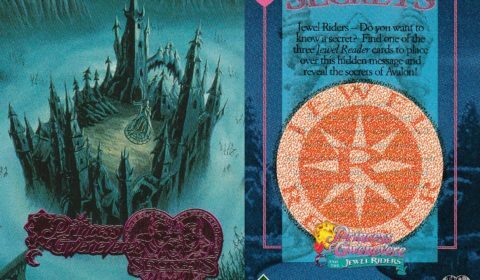 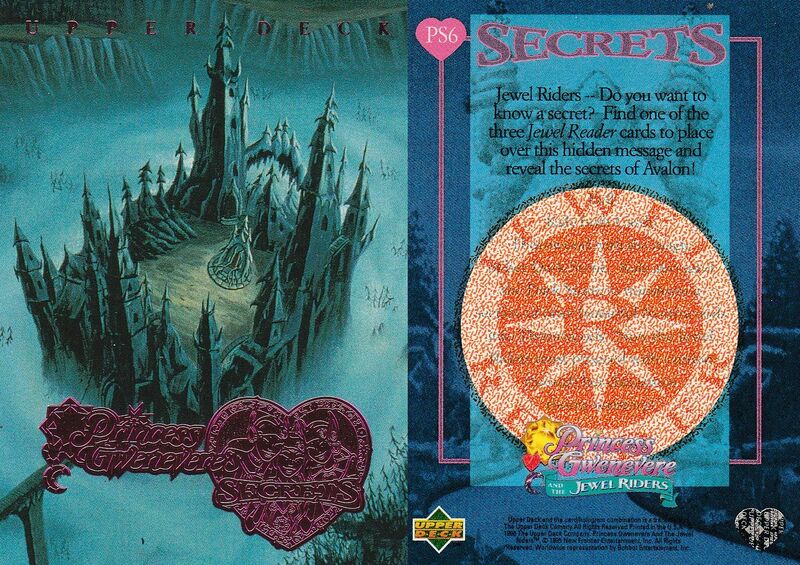 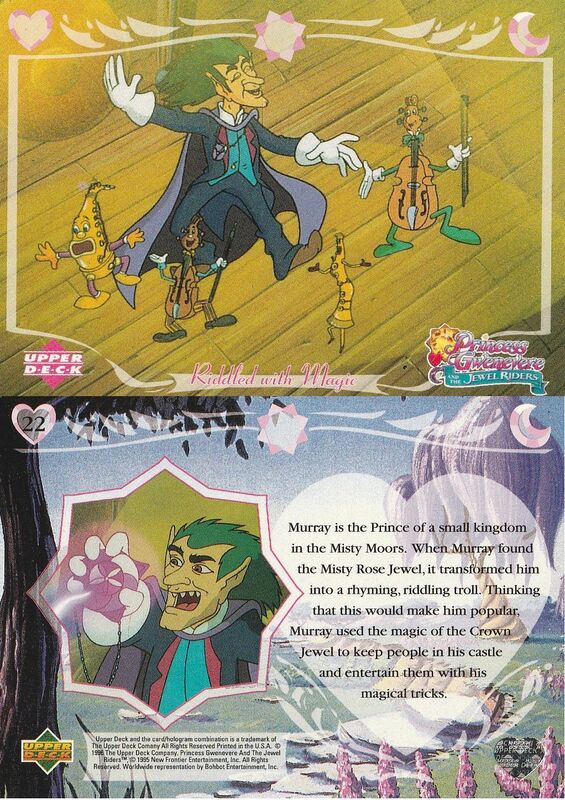 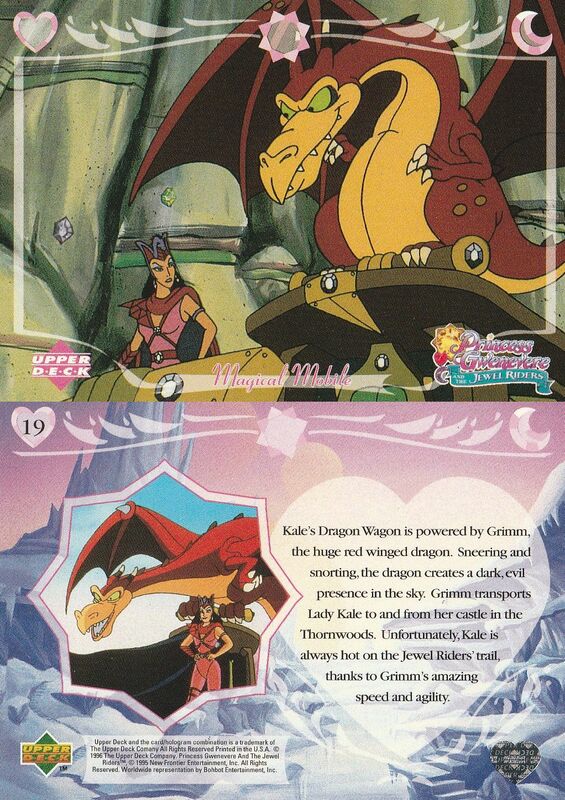 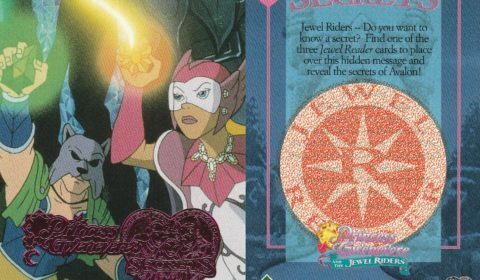 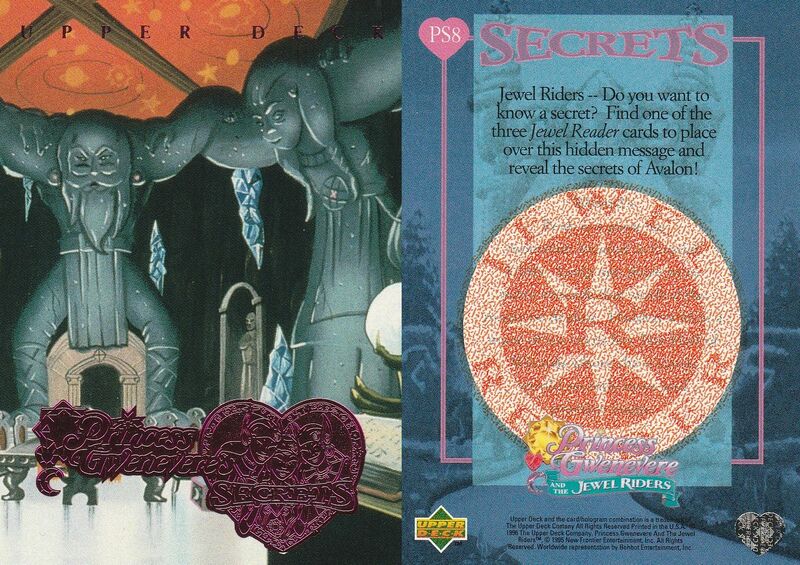 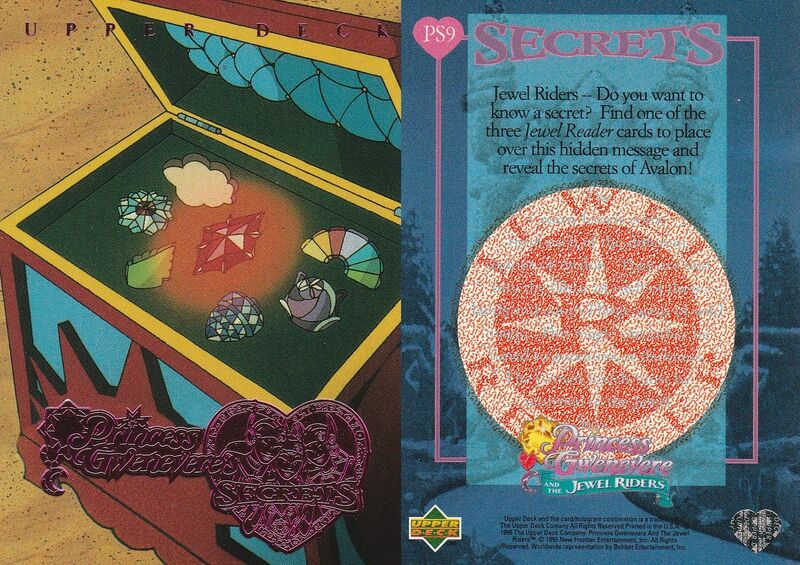 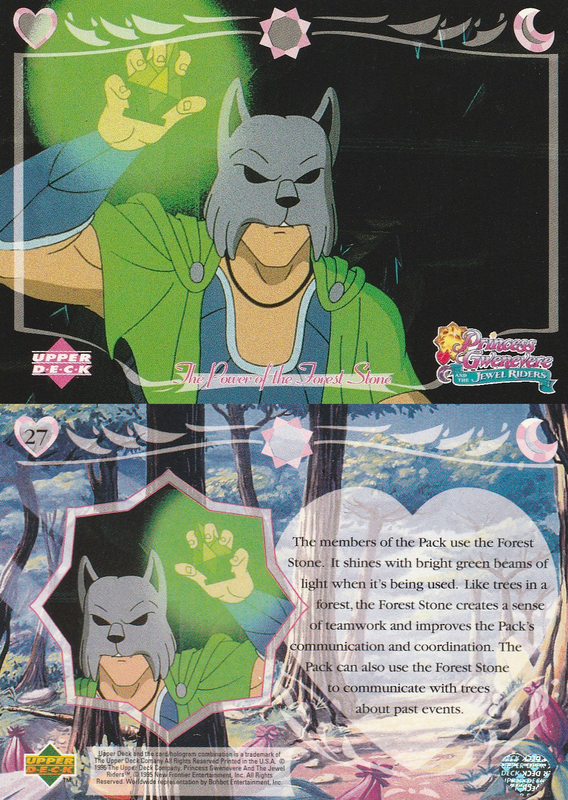 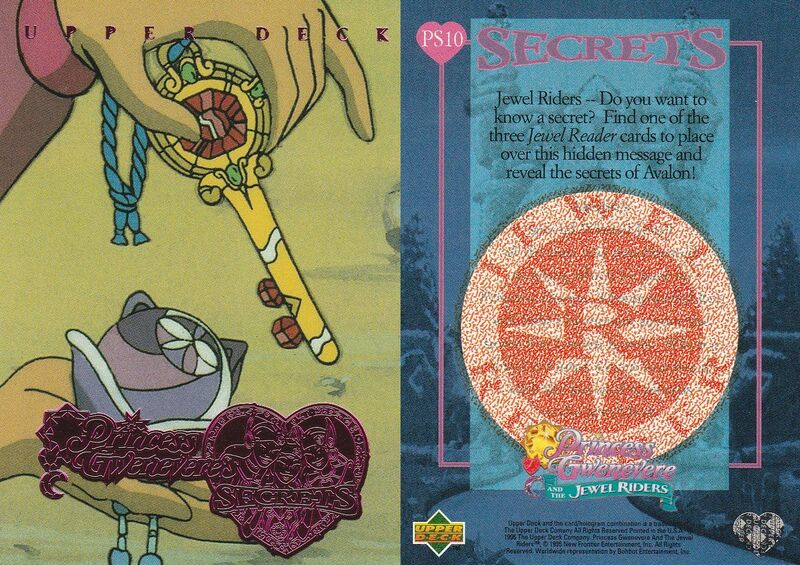 Many thanks to Friend of the Archive, Kate (Crystalheart) for the card scans and translations of the Secret Cards! 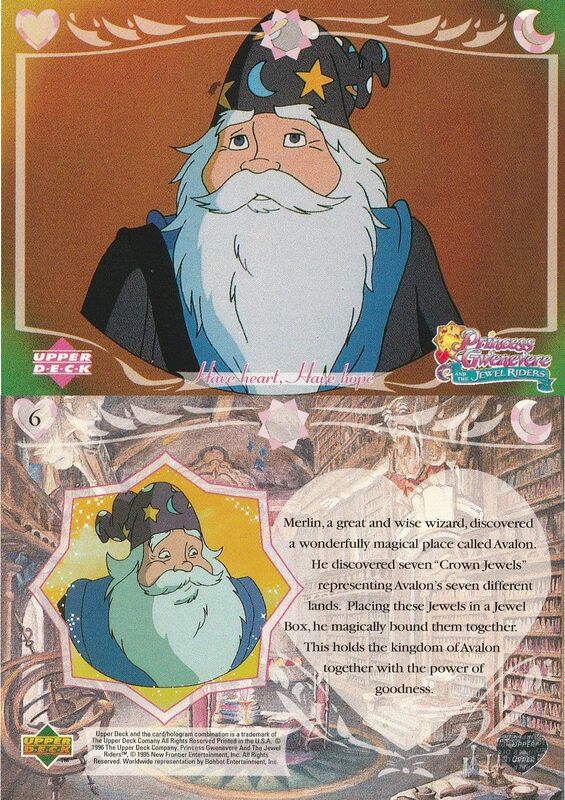 Merlin is over one thousand years old and dedicated to preserving the goodness of Avalon. 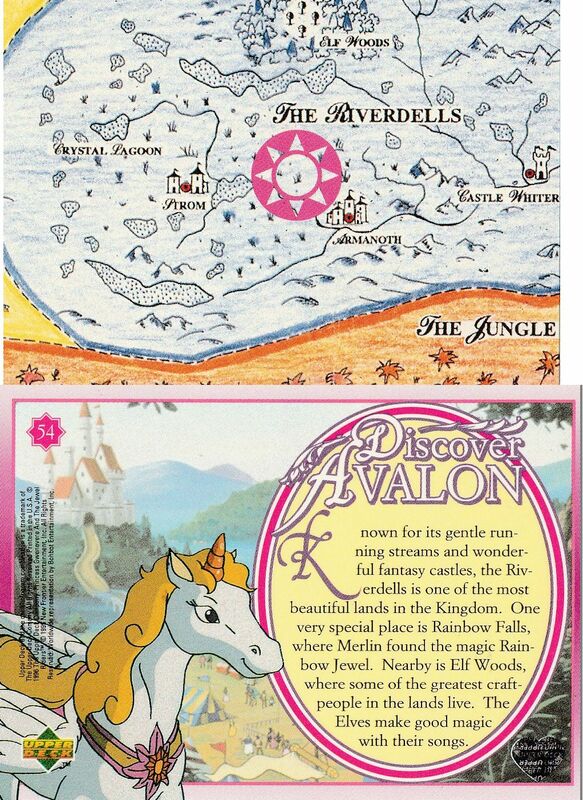 Merlin discovered the magical land of Avalon and found that it was full of magical jewels. 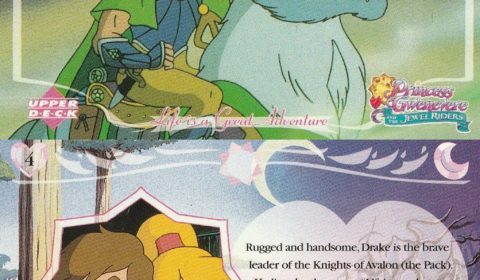 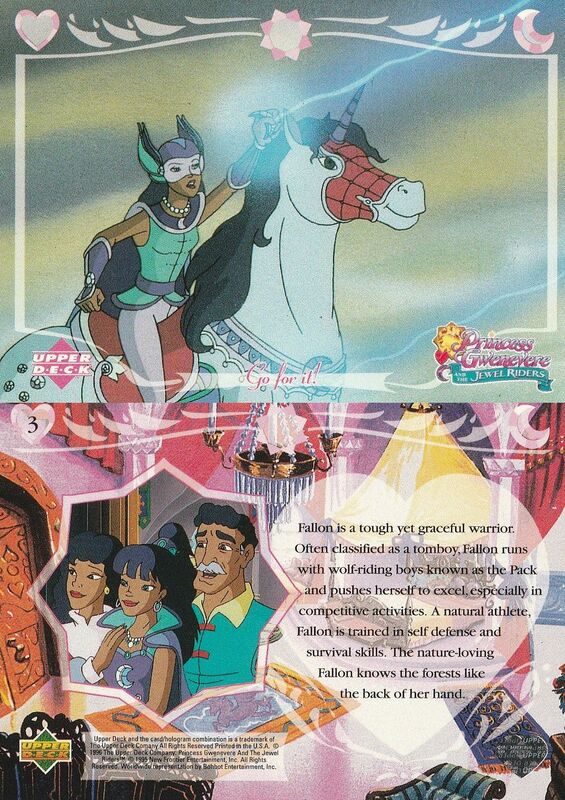 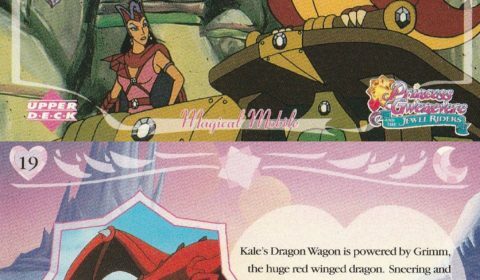 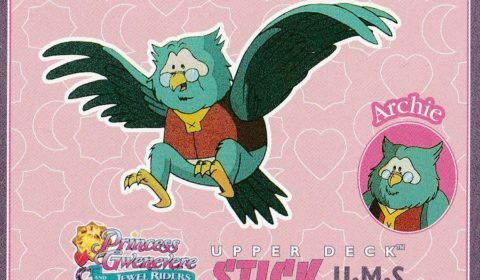 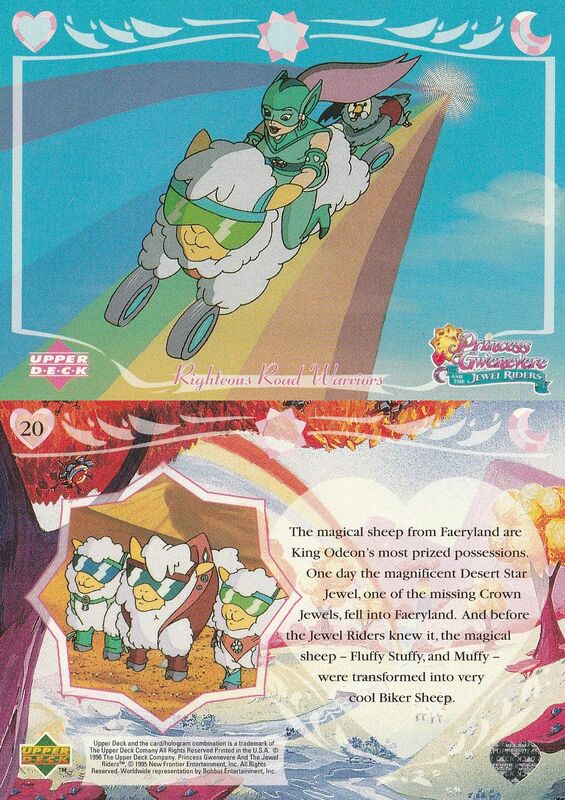 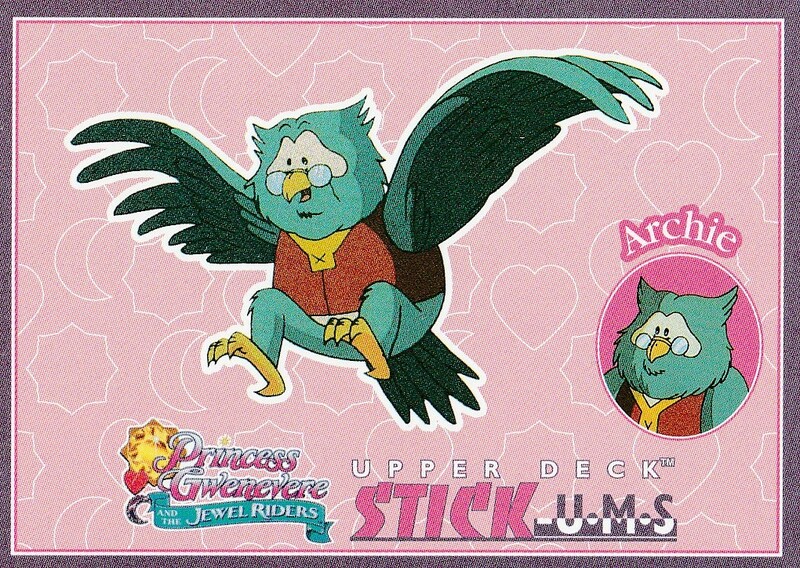 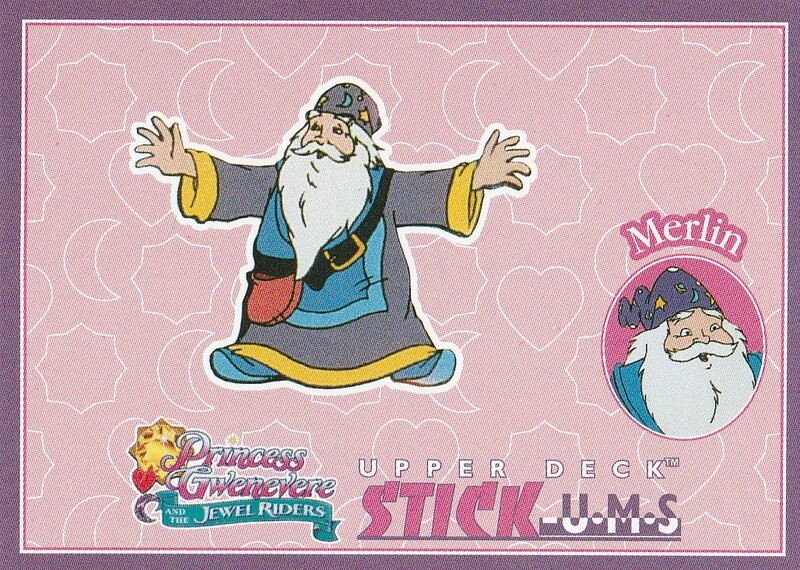 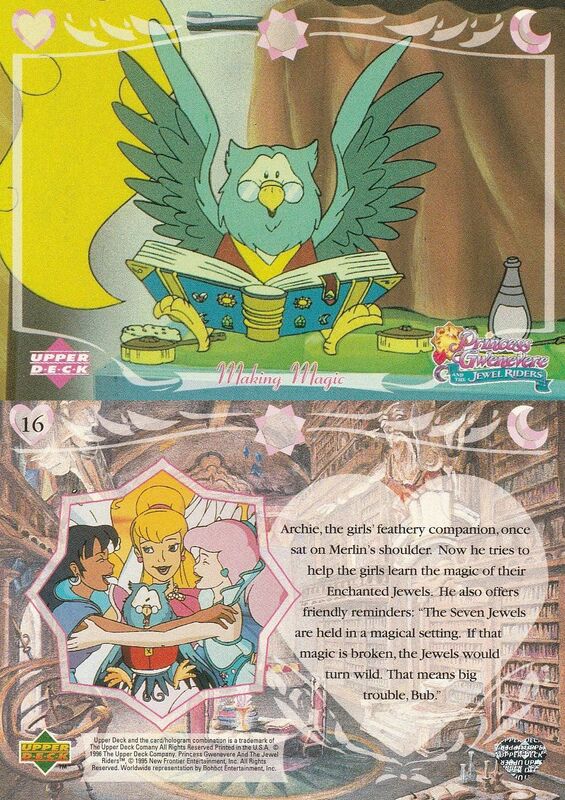 Merlin is a kind and loving teacher who trains the Jewel Riders. 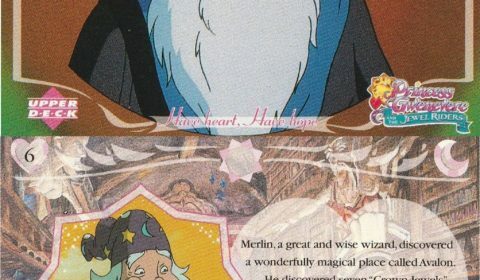 Travel Trees are grown by Merlin in a special garden. 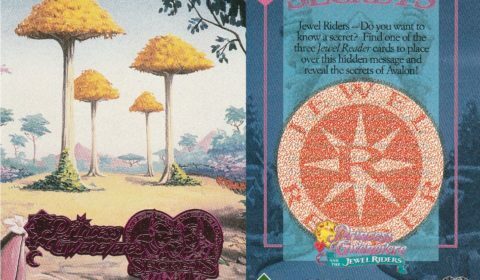 Jewel Riders stand in the center of a ring of Travel Trees to open the door to Wild Magic. 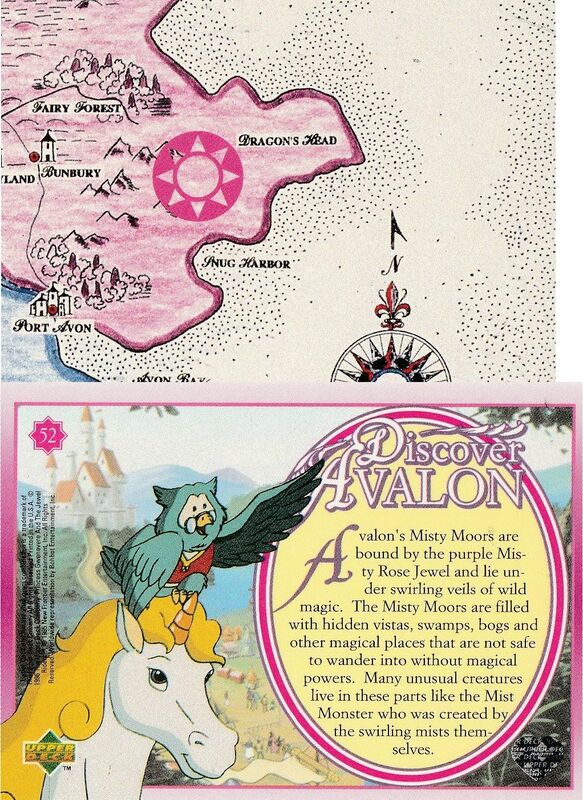 To use the Travel Trees, you must ask politely. 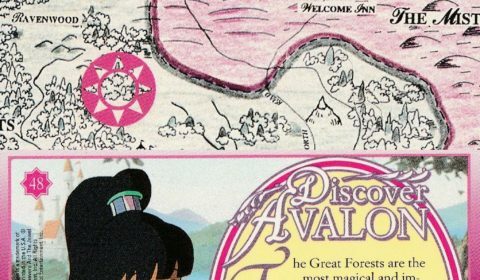 Travel Trees hate impoliteness or rudeness – it gives them indigestion. 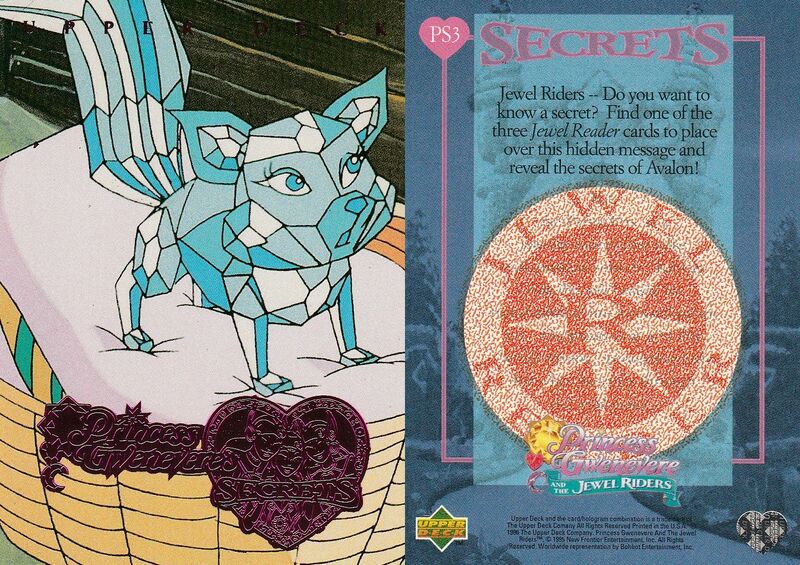 Kit, the Prism Fox, is a special magical animal that talks with musical sounds. 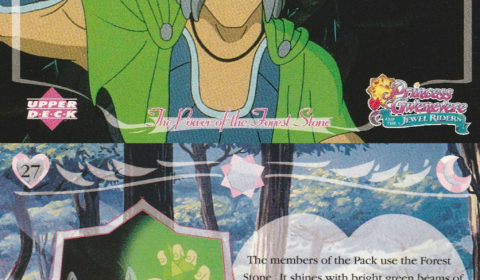 Kit can ride the Wild Magic by transforming into a crystal Prism Fox. 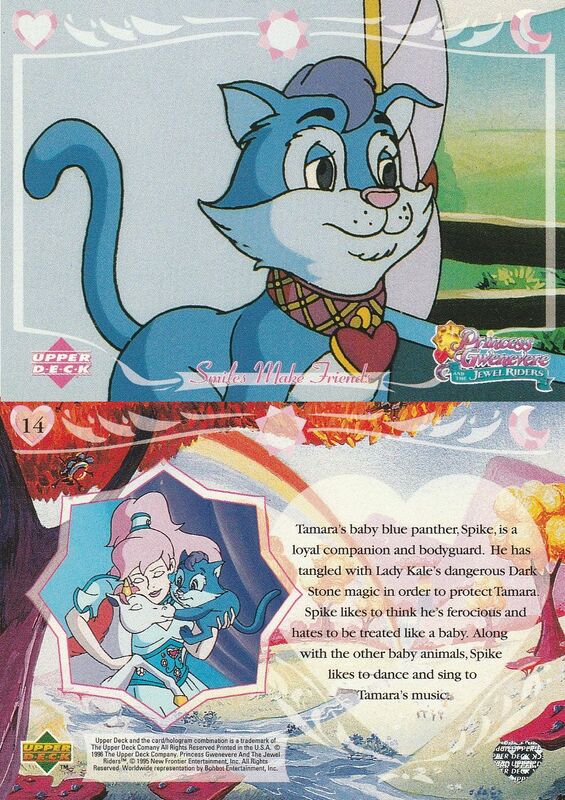 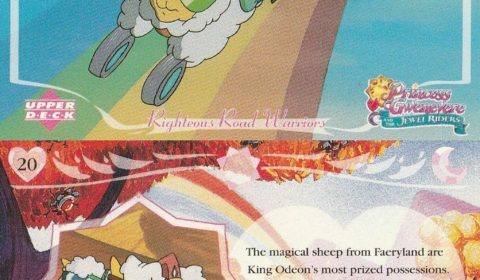 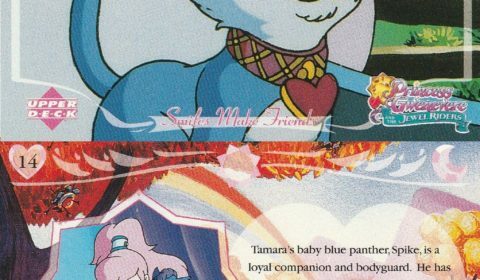 Her prism coat acts like “Jewel Armor,” protecting little Kit when she rides through the Wild Magic. 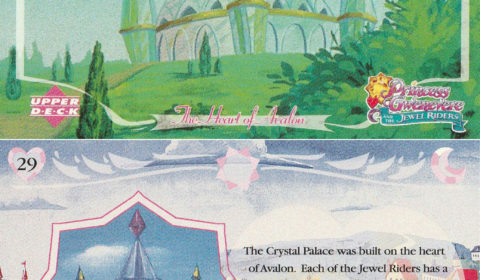 The Jewel Keep is like a giant sparkling jewel resting on top of Crystal Palace. 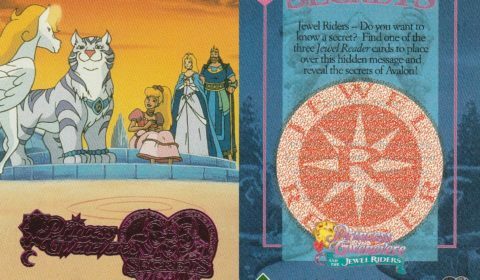 In addition to storing gems, the Jewel Keep acts as a magical jewel itself, and radiates goodness throughout the lands. 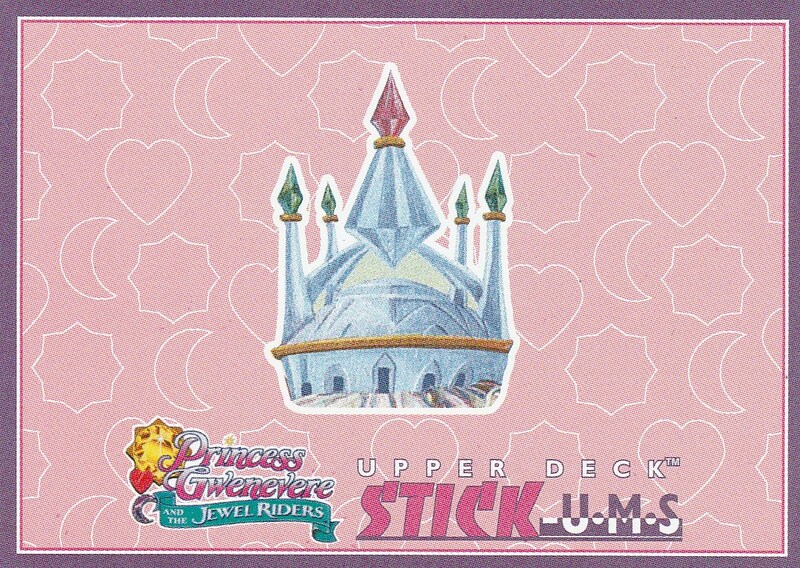 Queen Anya can often be found in the Jewel Keep studying. 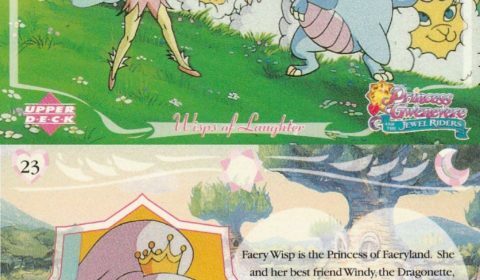 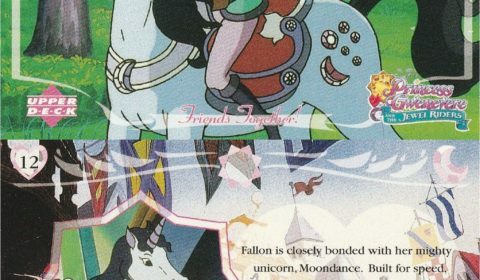 Rainbow Falls is a very magical place. 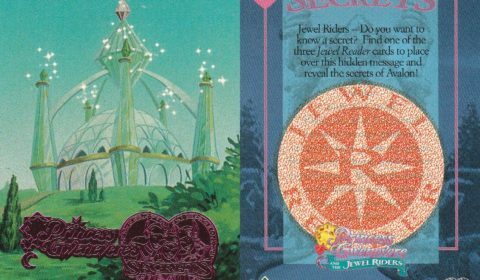 Behind the falls lies a secret cave — a place where wild magic is so intense, the Rainbow Jewel was formed. 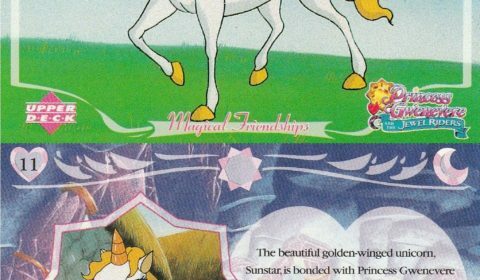 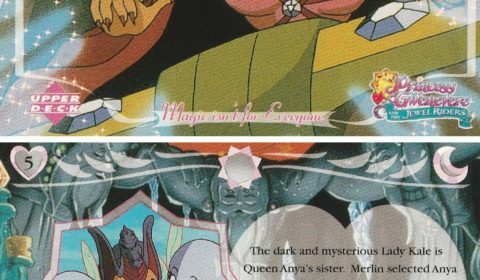 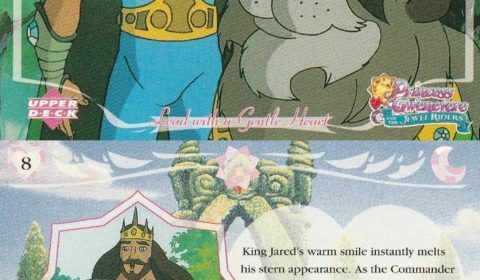 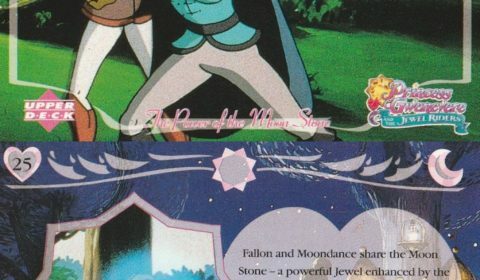 The Rainbow Jewel returned here when Merlin’s bond was broken. 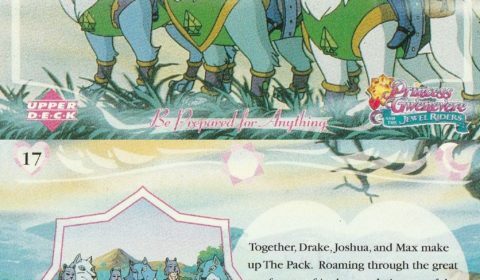 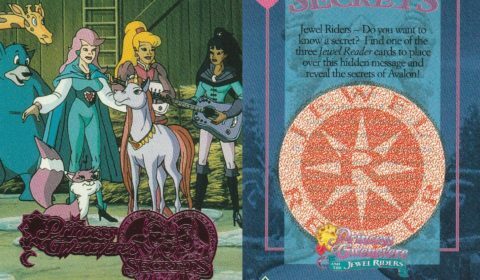 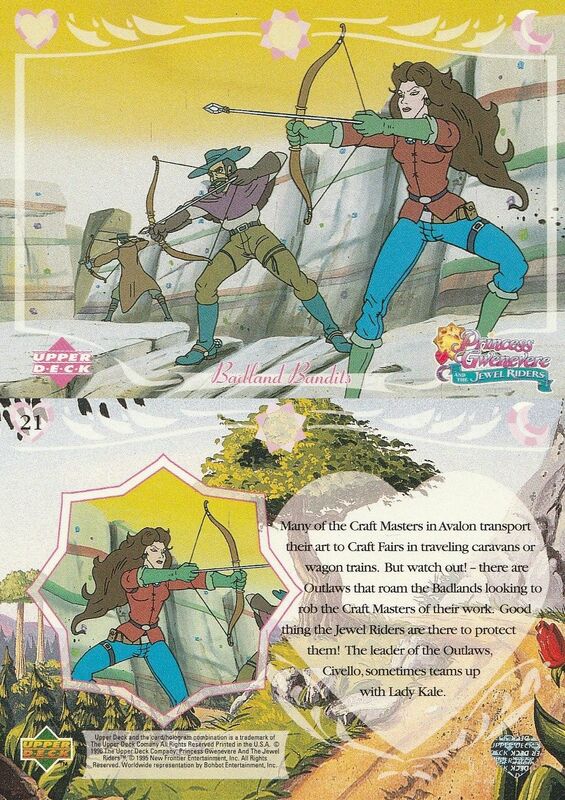 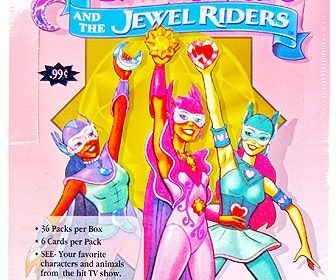 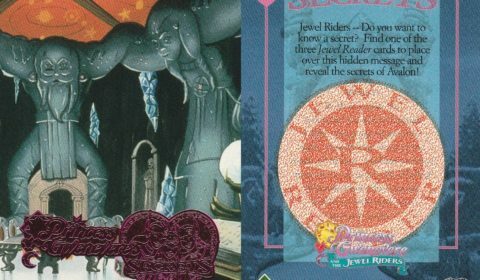 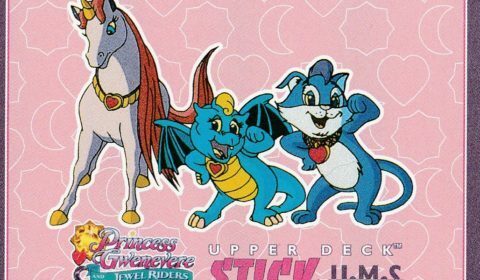 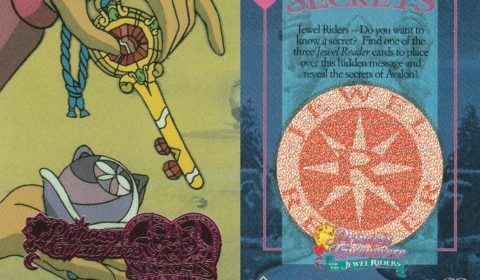 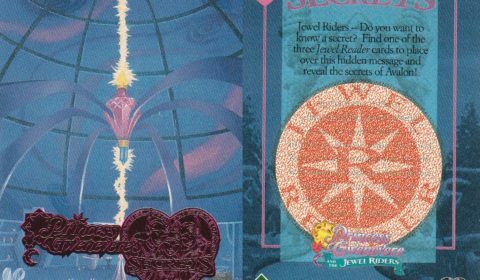 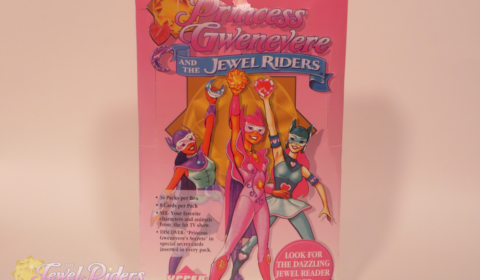 Now it’s up to the Jewel Riders to find it again! 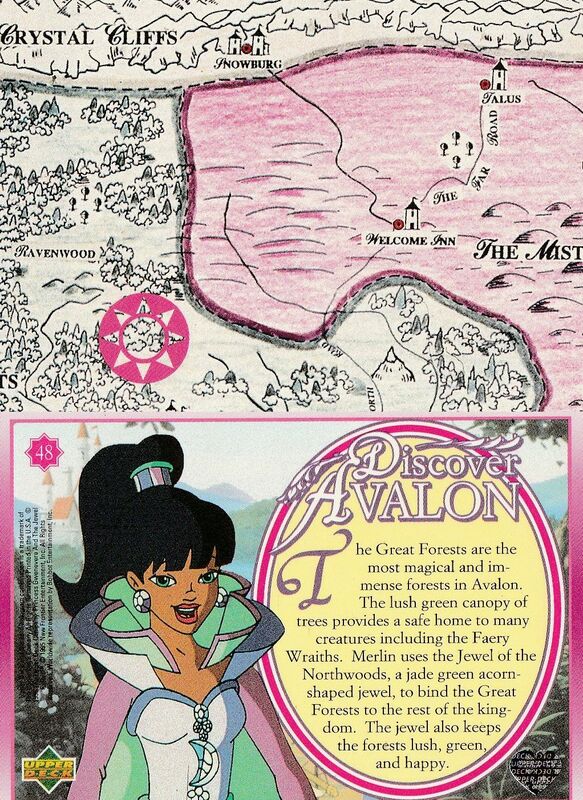 Evil Kale built Castle Thornwood with the magic of her Dark Stone. 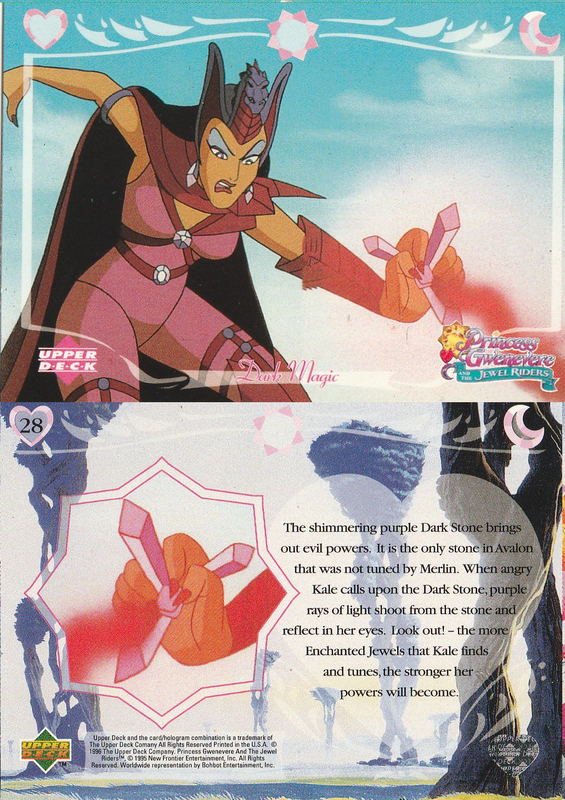 Kale also used the Dark Stone to transform a section of once beautiful Northwoods into Thornwoods. 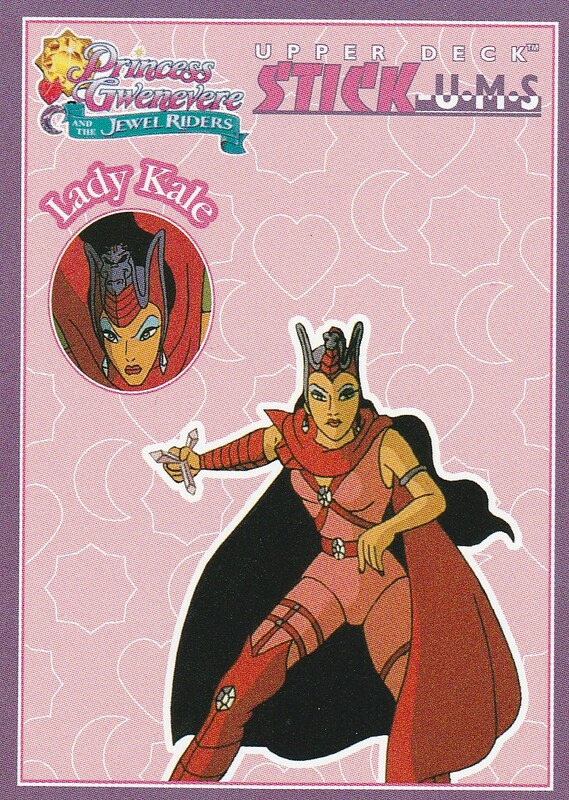 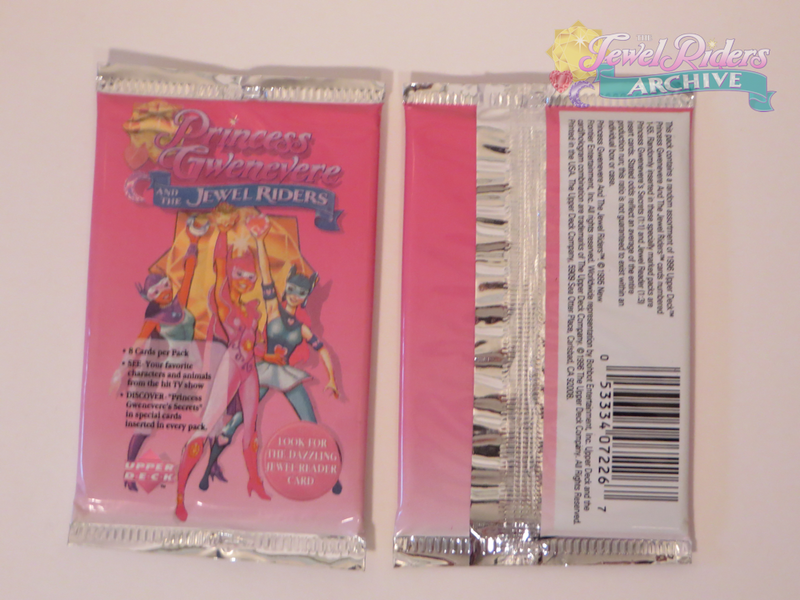 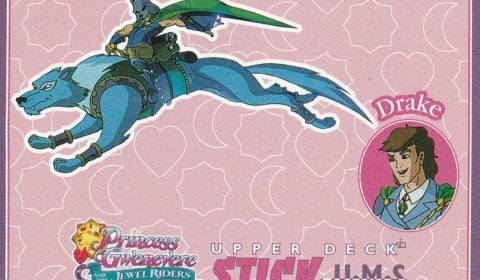 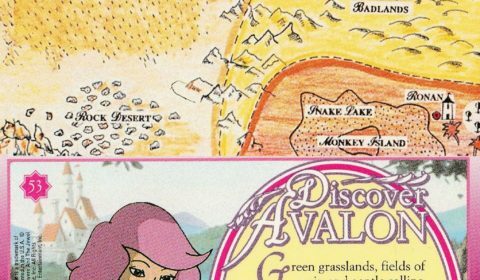 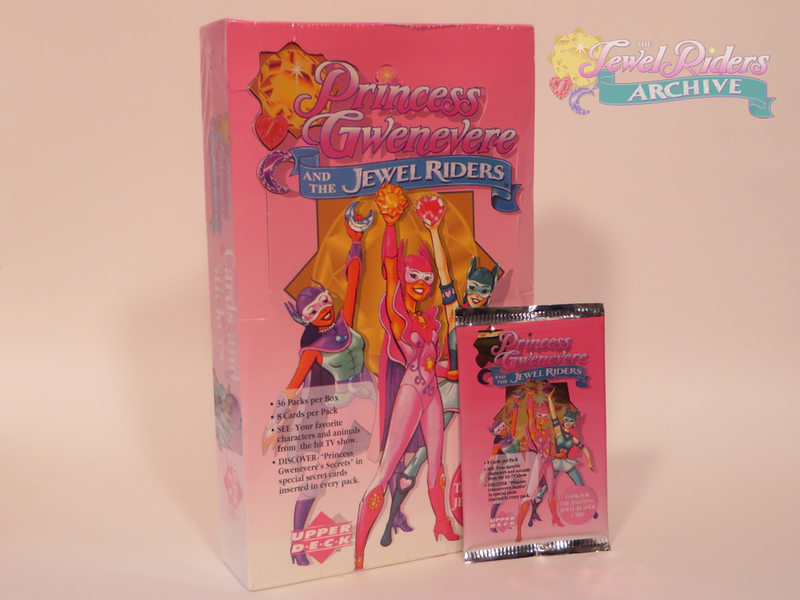 Now the Jewel Riders must proceed with caution through her dangerous thorny territory! 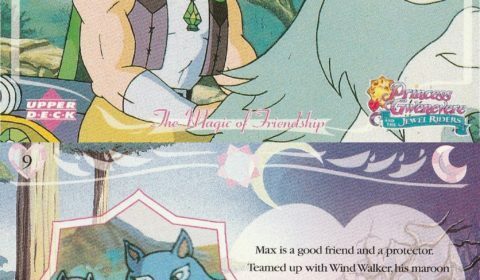 The Friendship Ring is where the Circle of Friendship ceremony is performed. 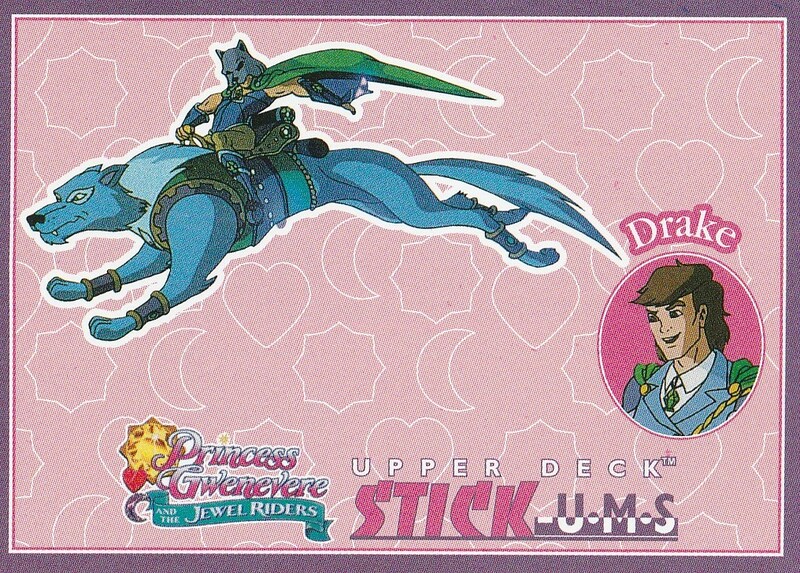 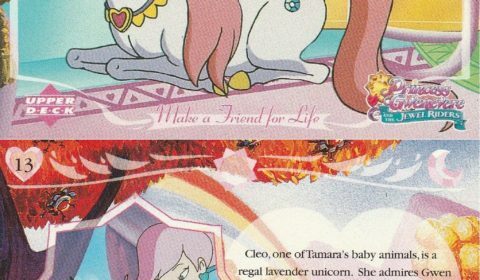 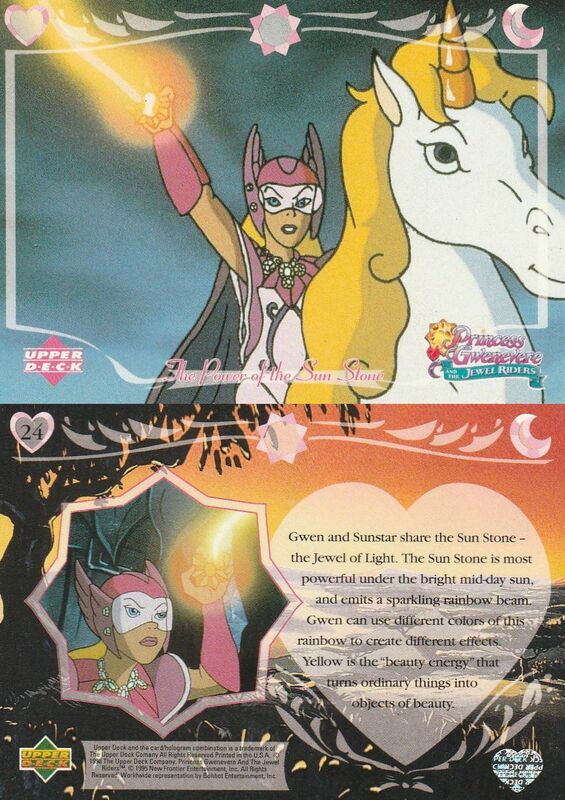 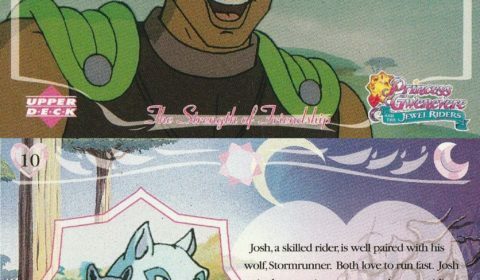 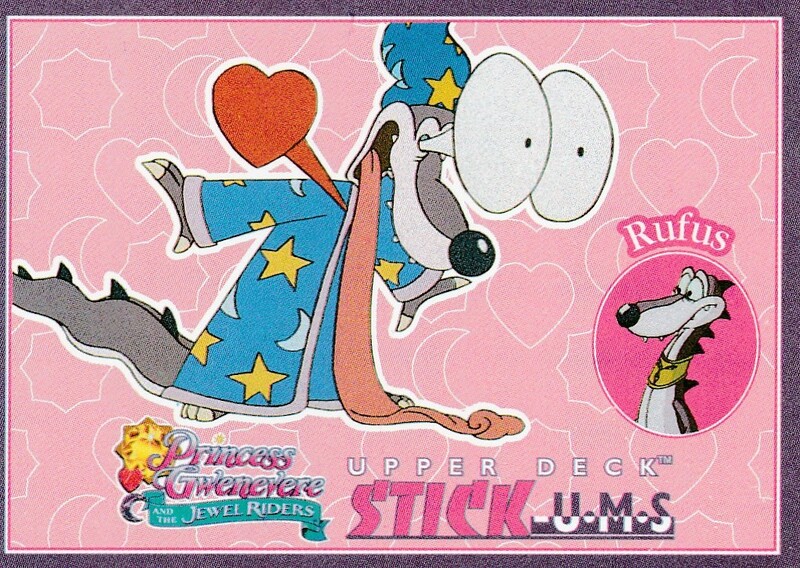 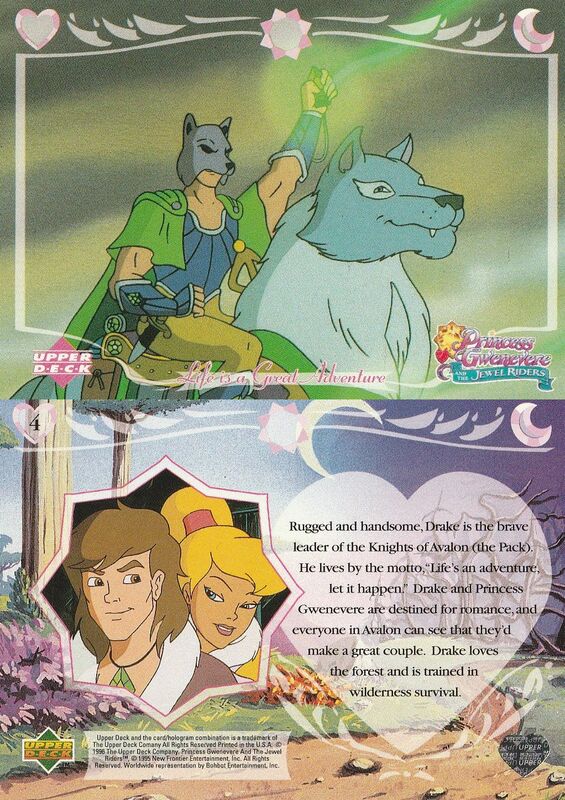 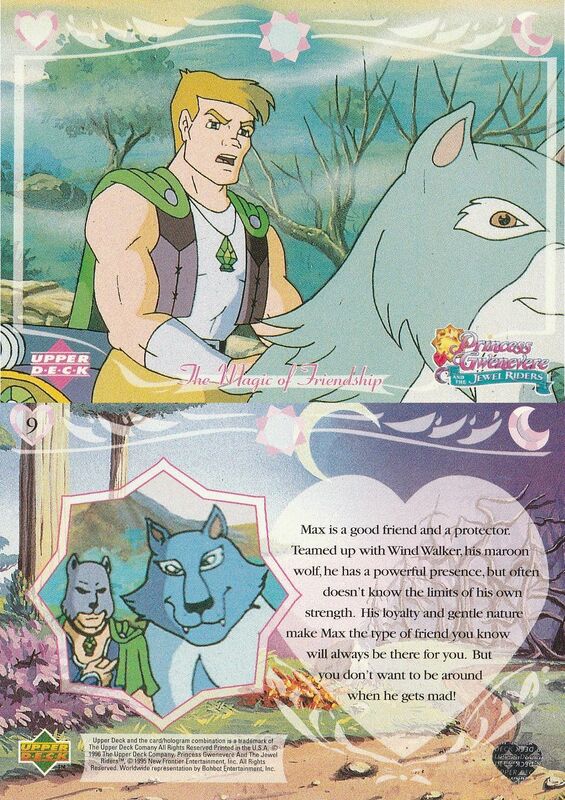 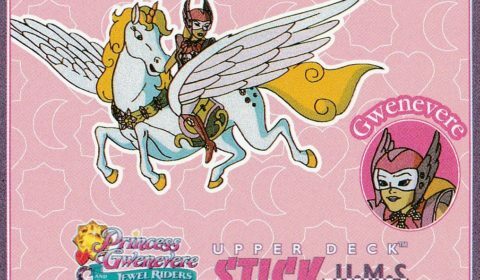 This is when a young person bonds with a magical animal and becomes a Jewel Rider! 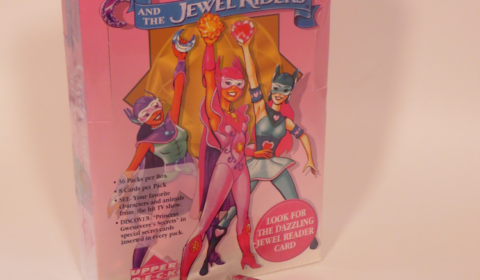 The Friendship Ring is also used for celebrations and glamorous royal parties. 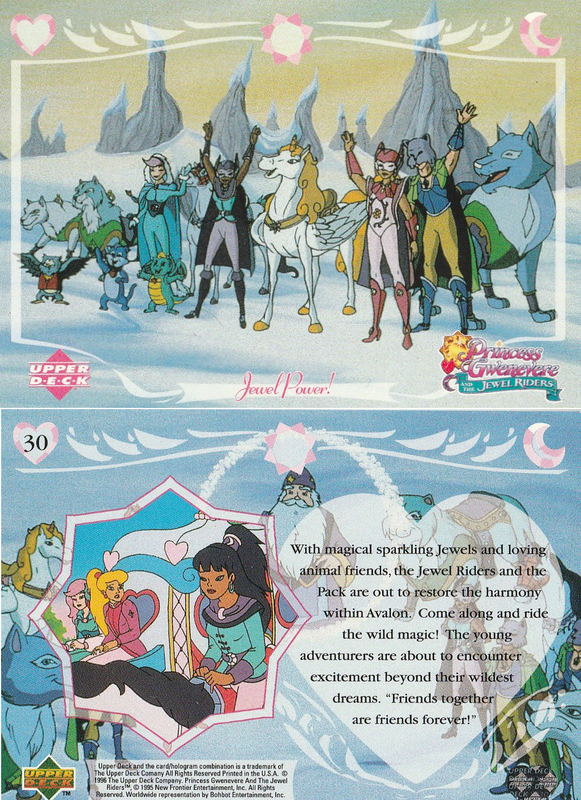 Wizard’s Peak is a giant ice mountain located in Crystal Cliffs. 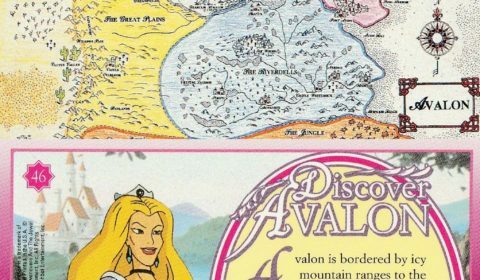 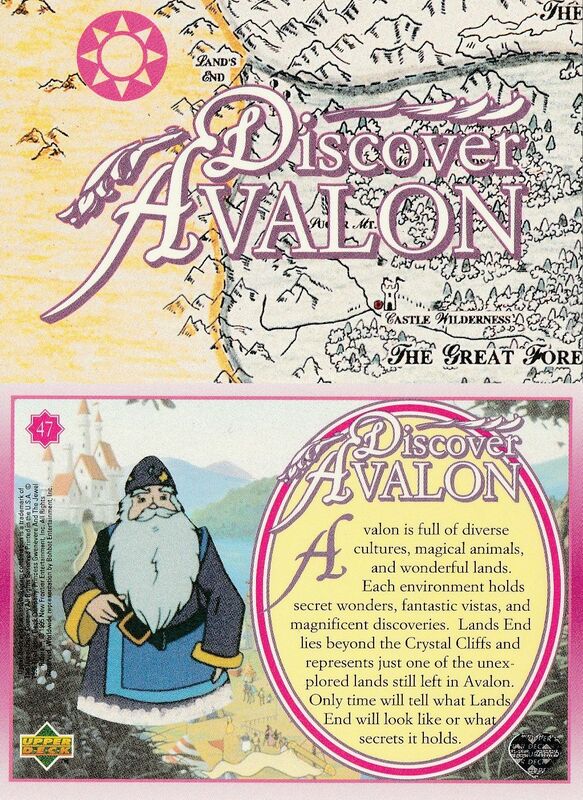 Long ago there were many wizards that studied the magic of Avalon. 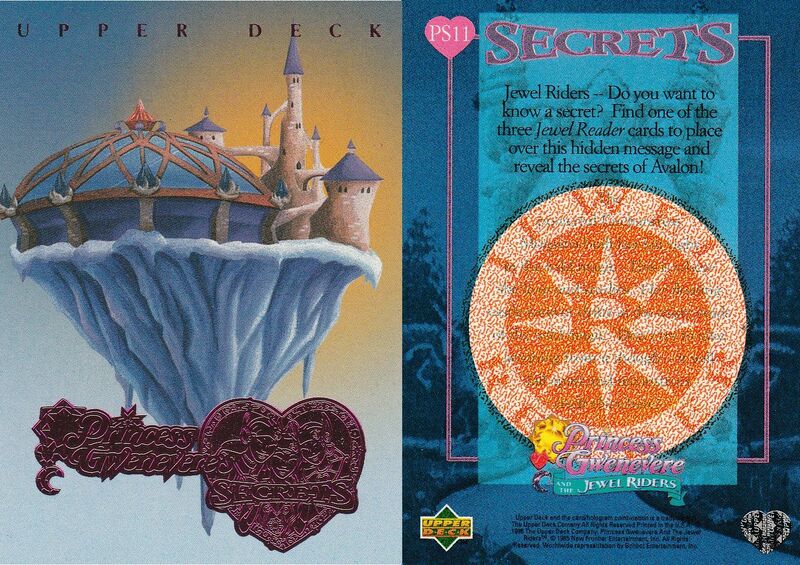 Hidden within a maze of ice caves lies The Hall of Wizards where the wizards would secretly meet and practice magic. 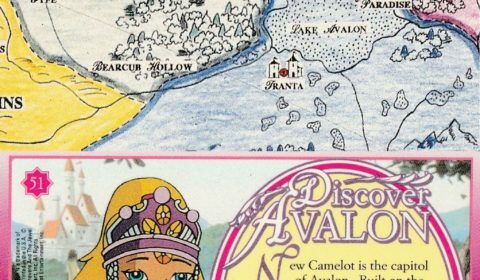 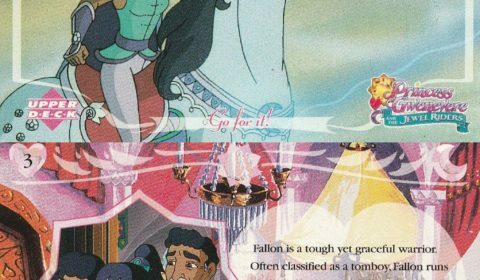 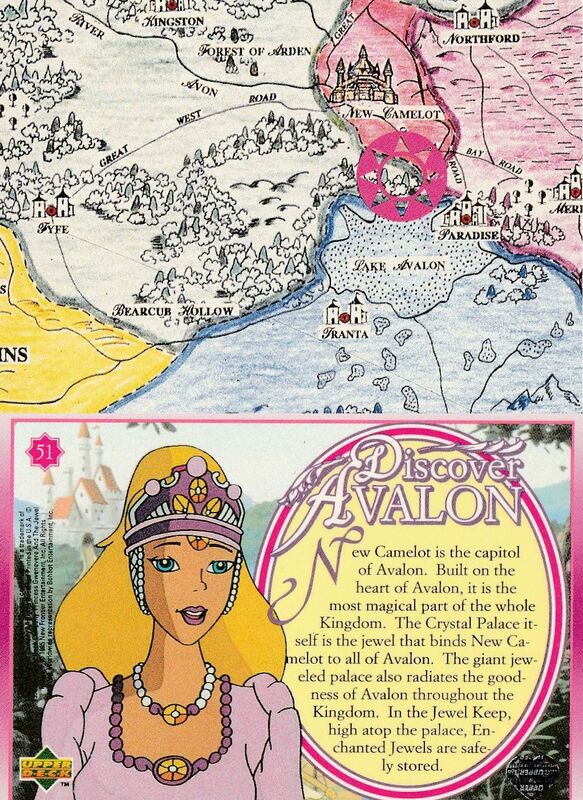 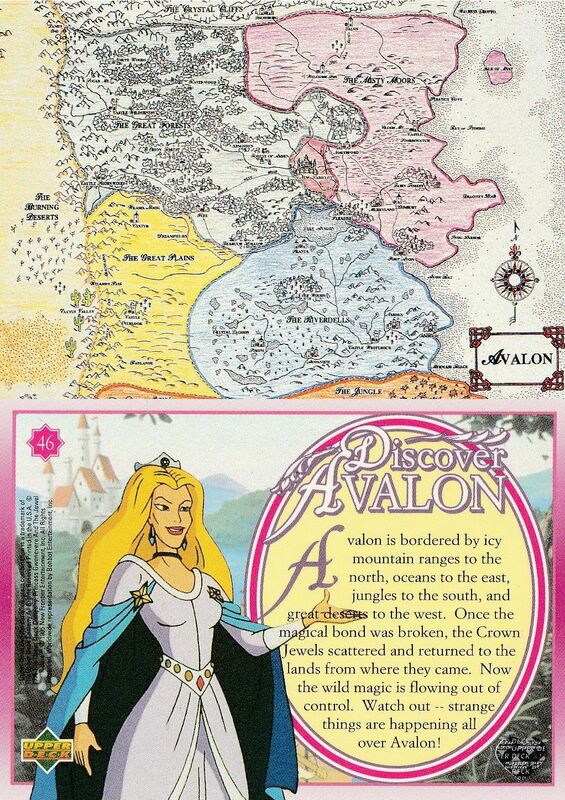 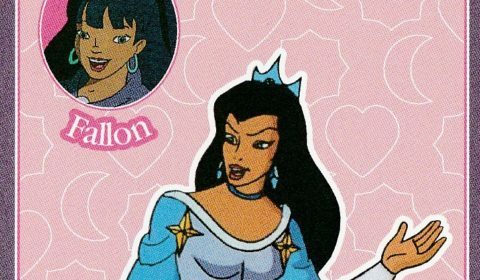 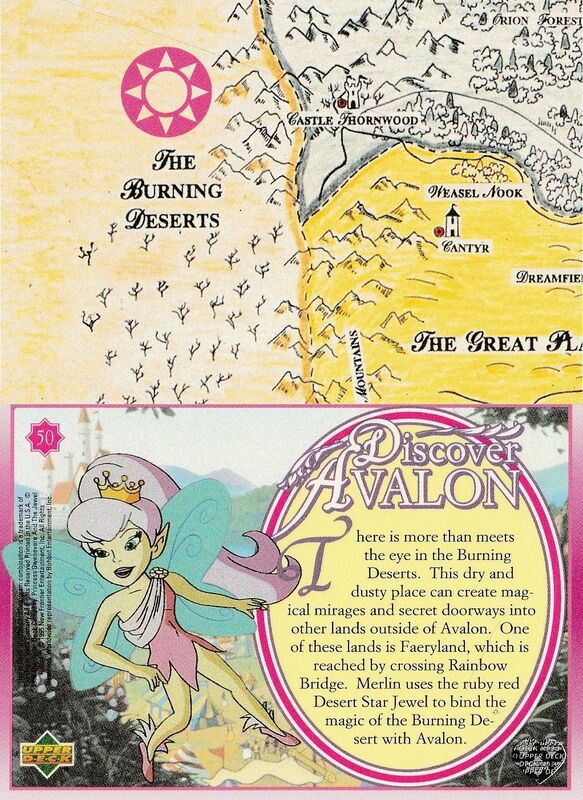 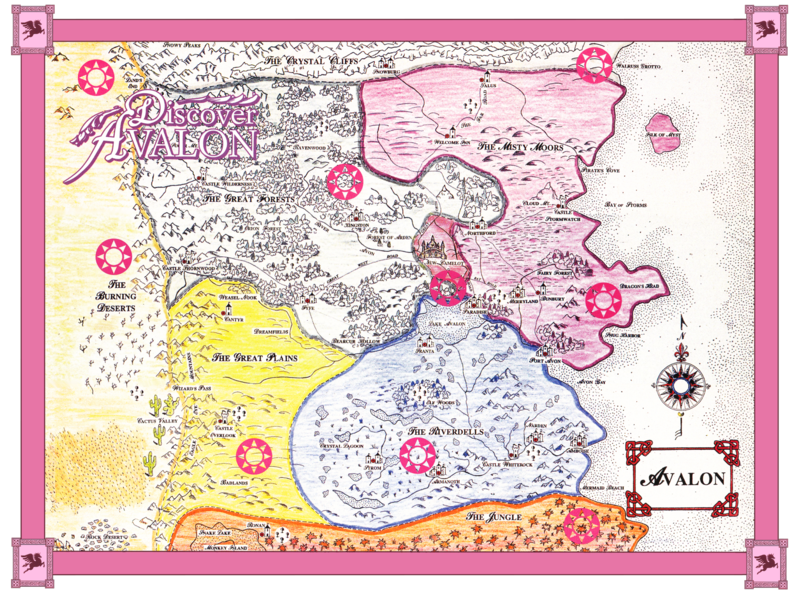 The Crown Jewels come from each of the different regions of Avalon. They are tied into the fabric of each of these lands and control large areas of wild magic. 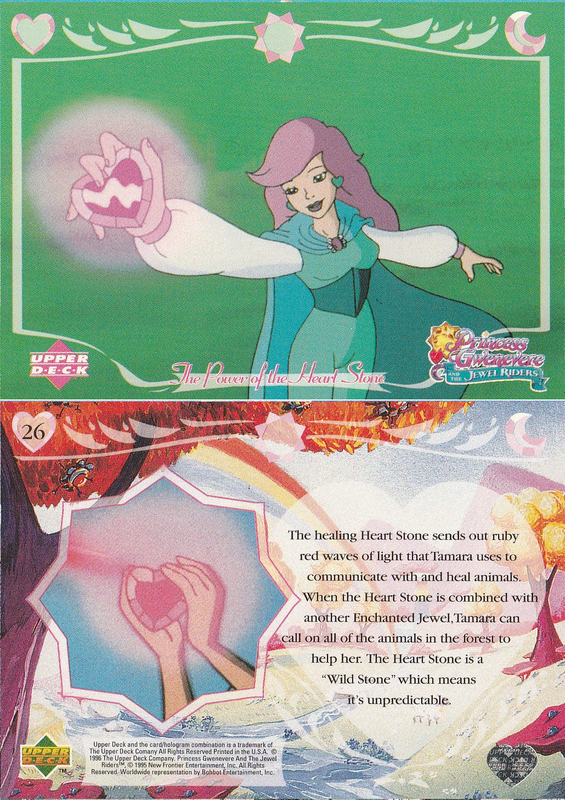 This magic can either be tuned to goodness or darkness. 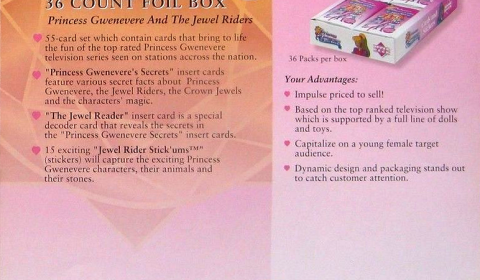 The Crown Jewels must be returned to the Jewel Box! 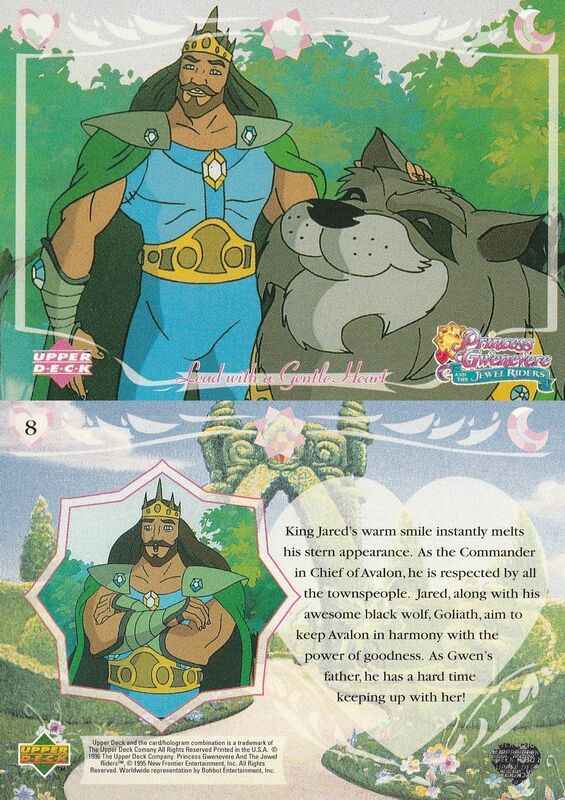 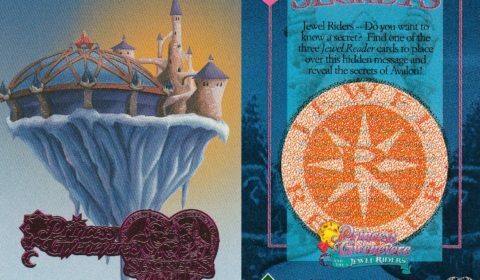 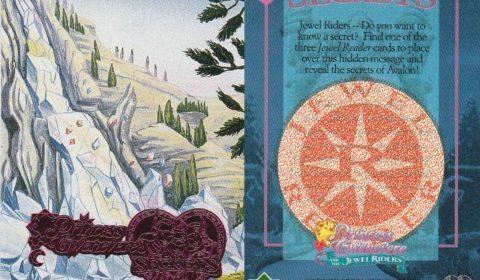 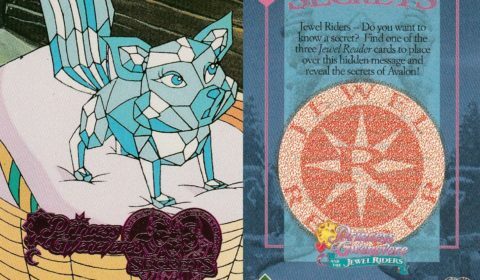 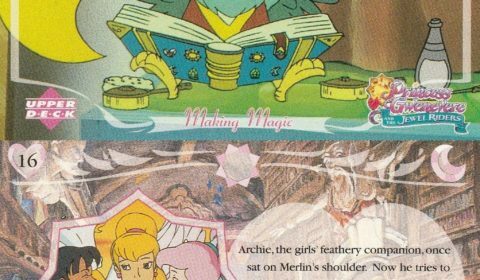 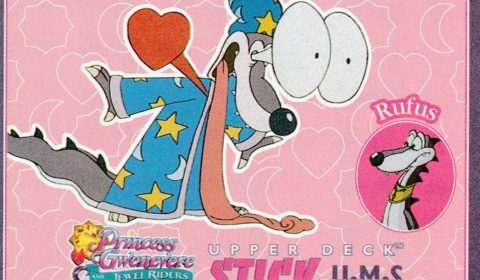 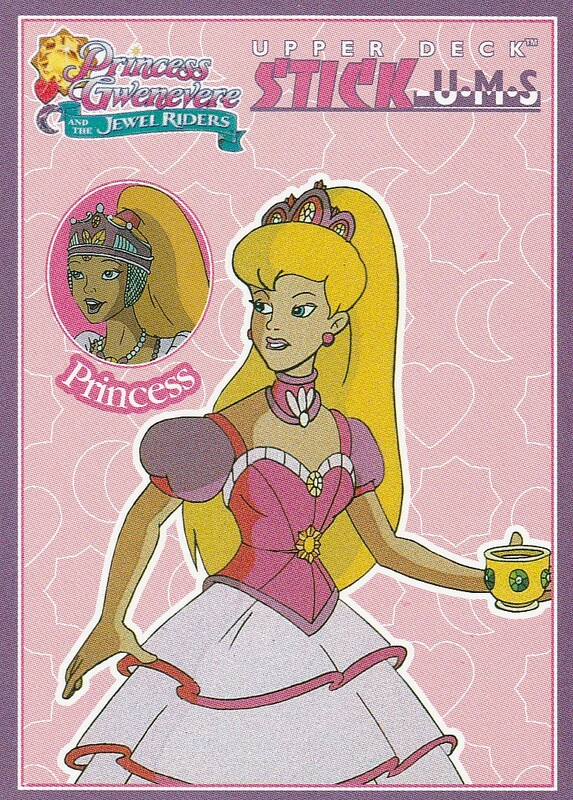 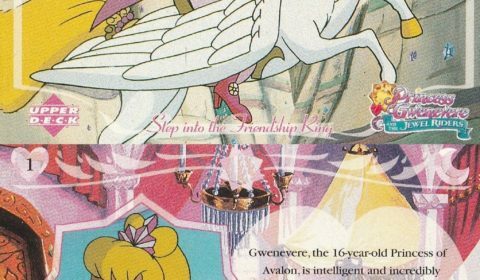 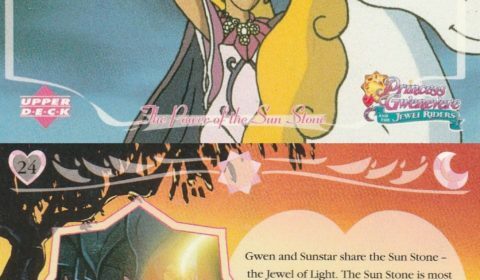 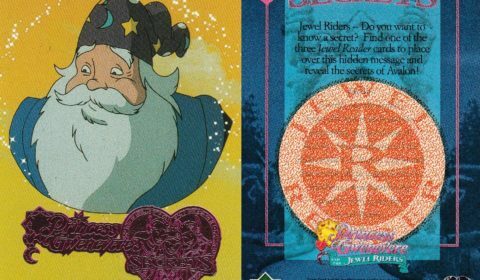 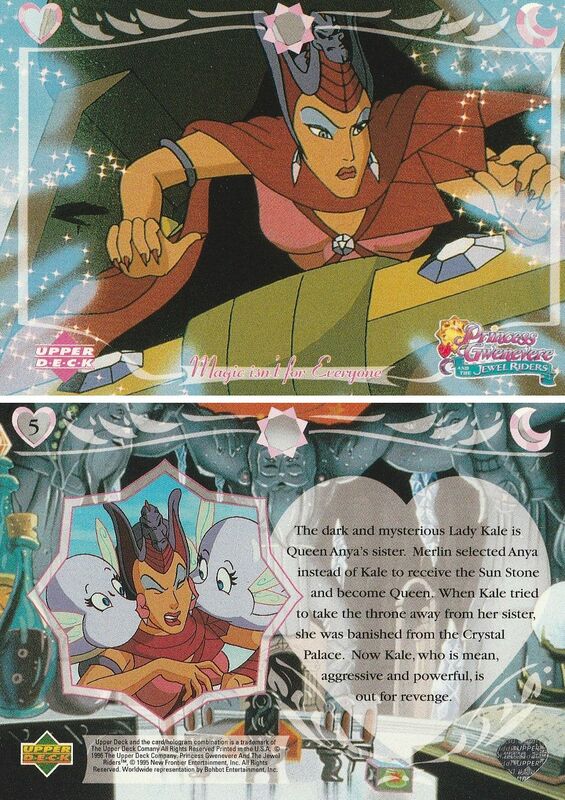 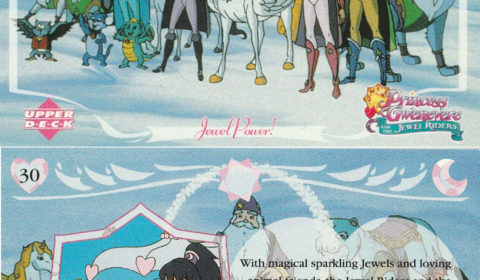 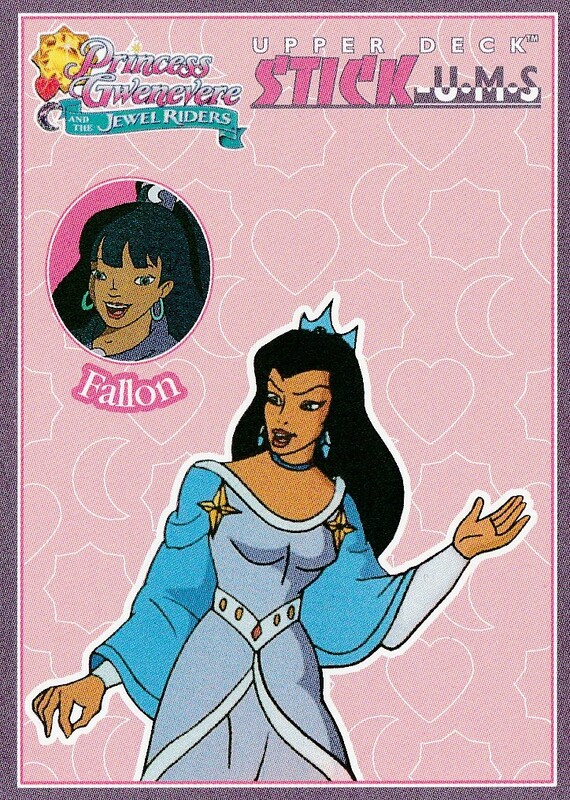 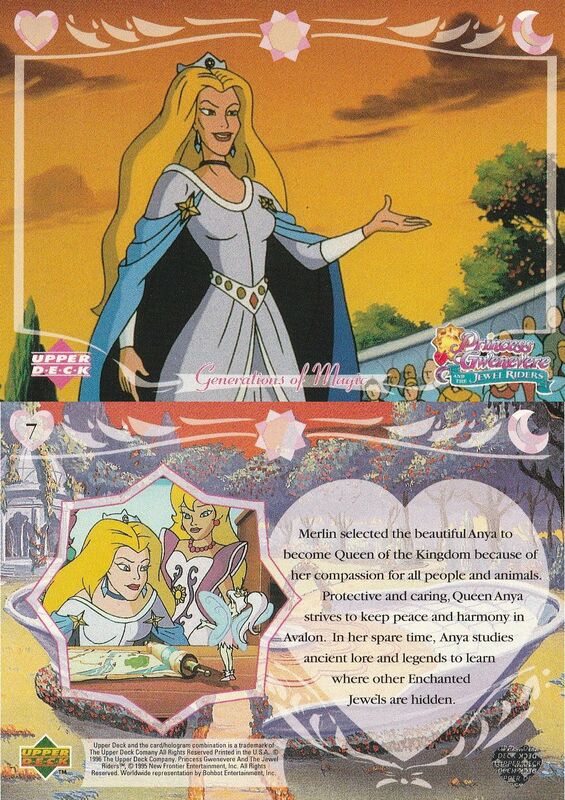 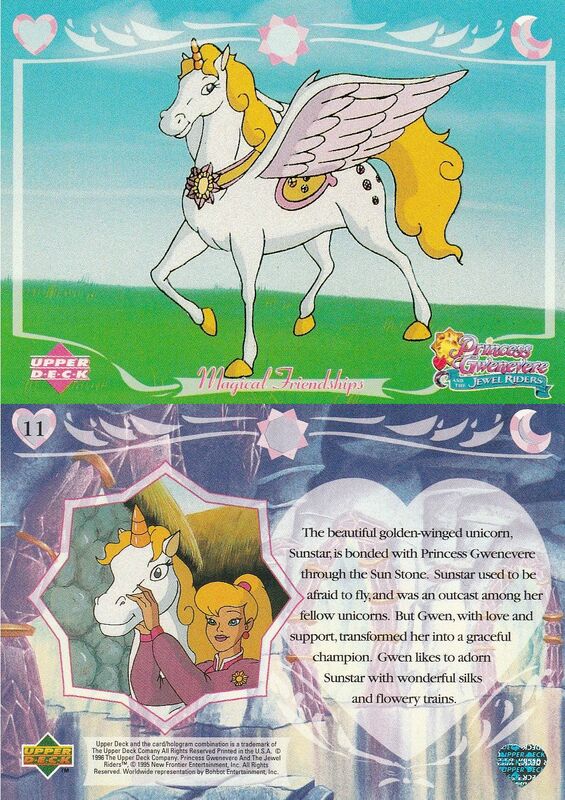 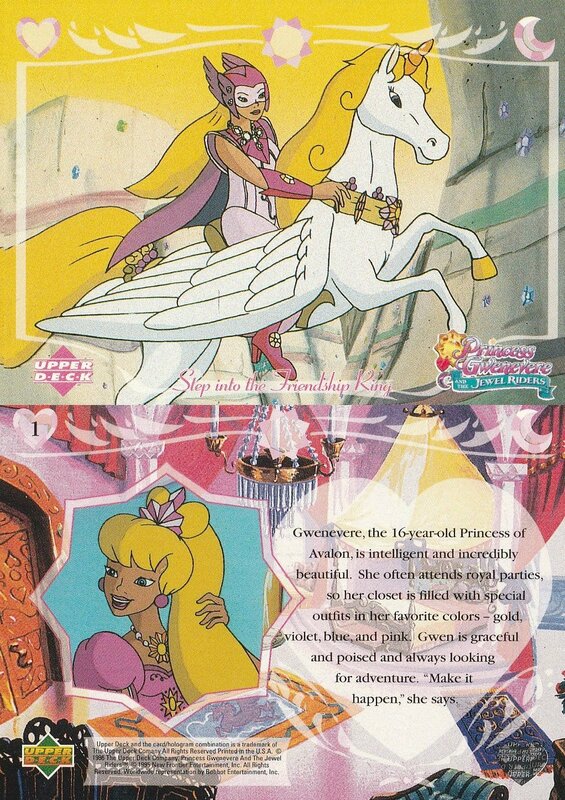 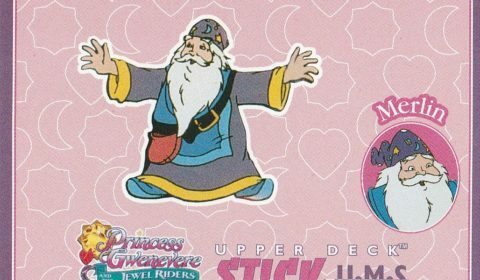 Merlin’s special Wizard Jewel of the past was transformed to a key, which he gave to Princess Gwen. 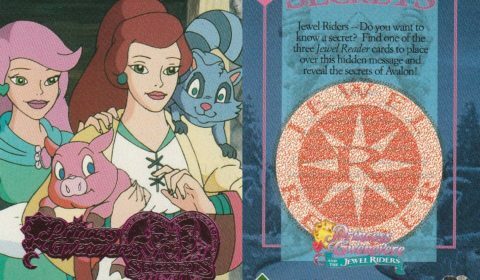 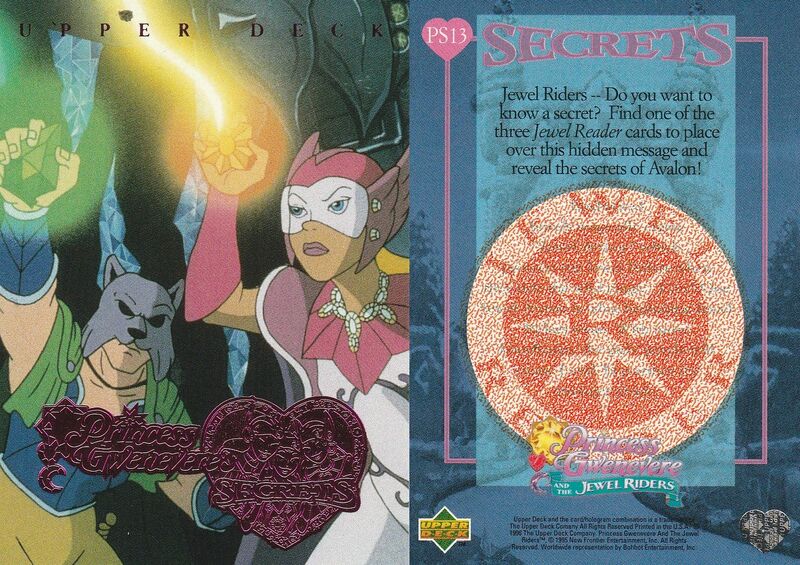 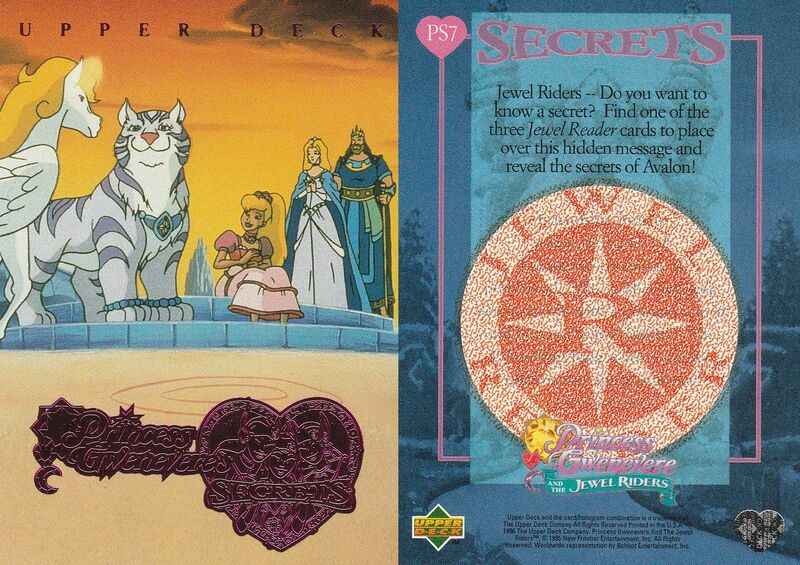 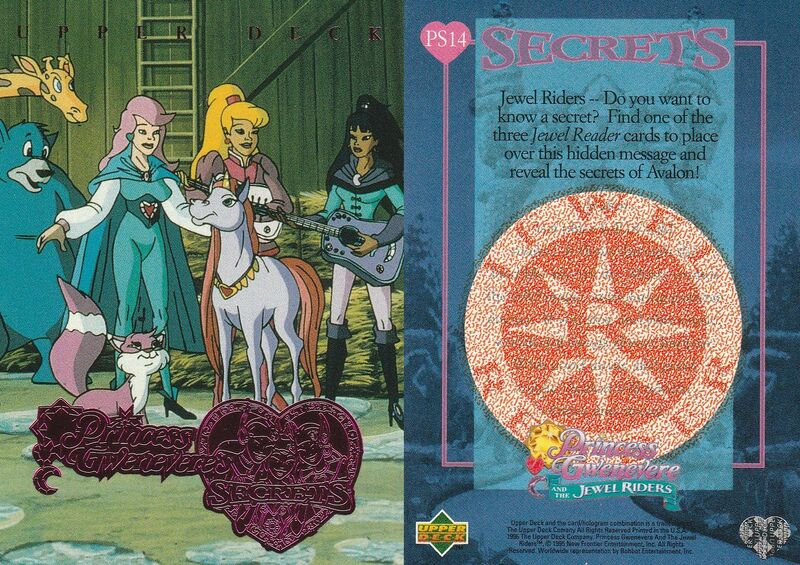 This powerful key will help Gwenevere secure the seven lost Crown Jewels. 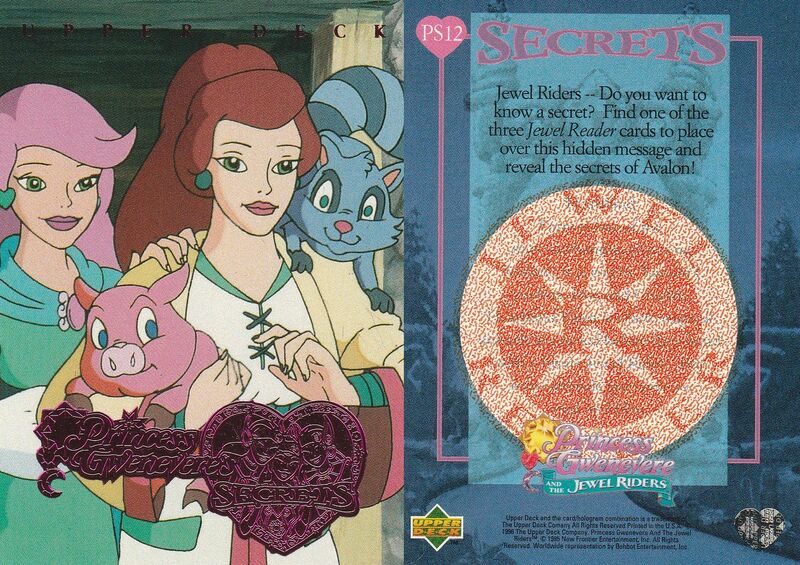 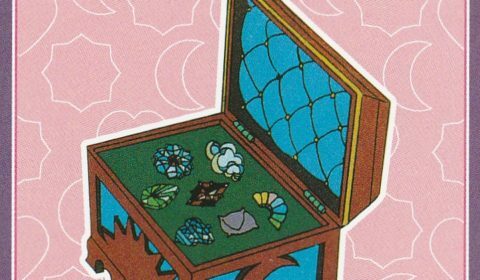 When a jewel is found, Gwen touches it with the key and it returns to the Jewel Box. 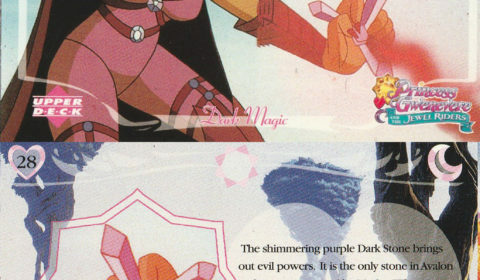 The powerful Enchantress Morgana built her lair right in the wild magic. 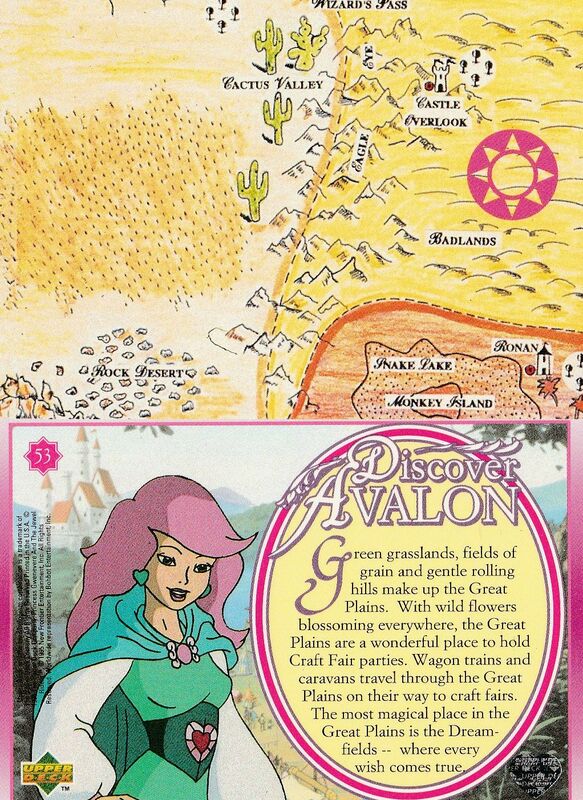 This where she lives and studies. 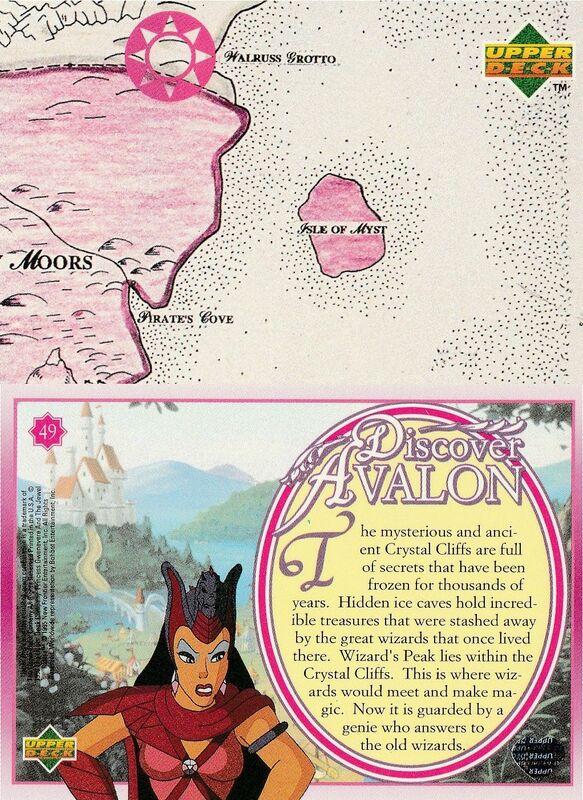 Her floating castle forever drifts in the misty voids of the wild magic. 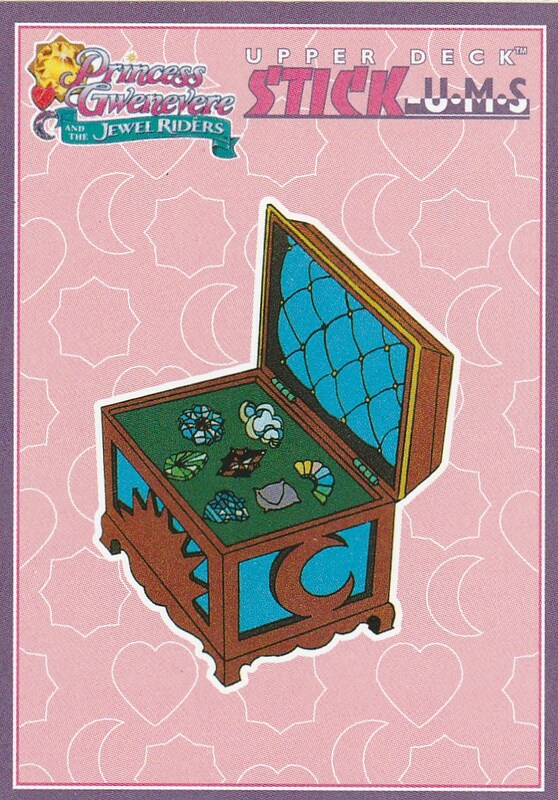 Don’t try to take anything from it though — it will fall apart and reconstruct itself elsewhere! 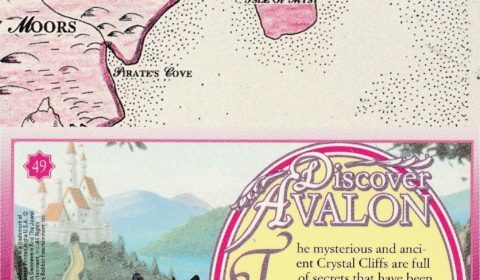 Heartland Farm is one of the most enchanting places in Avalon. 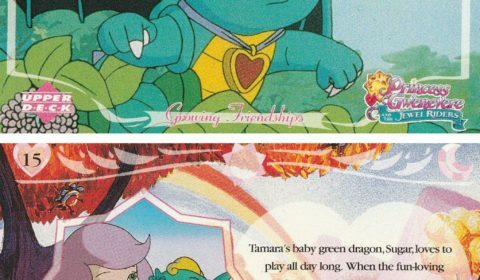 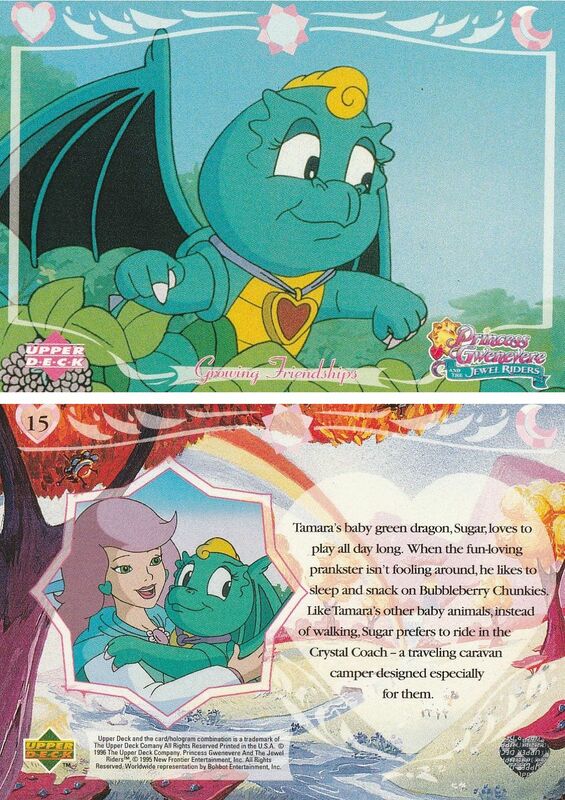 It is run by Tamara’s parents, Doc and Charity. 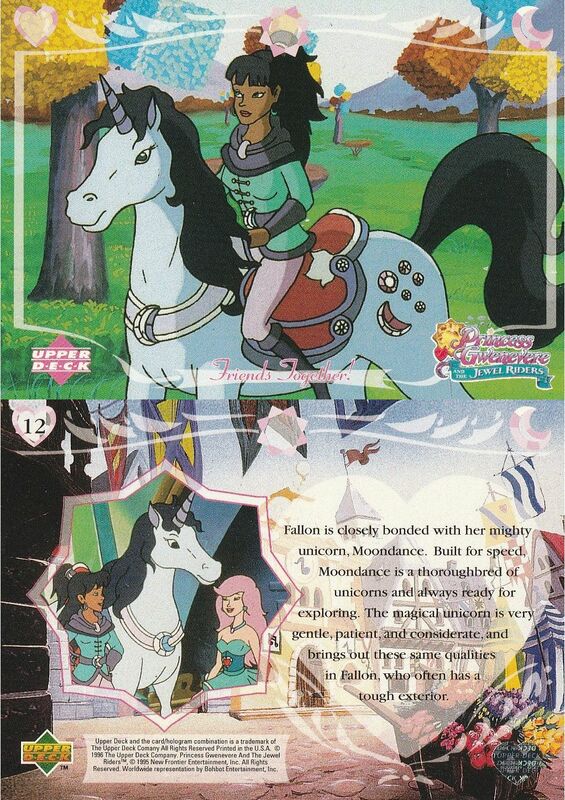 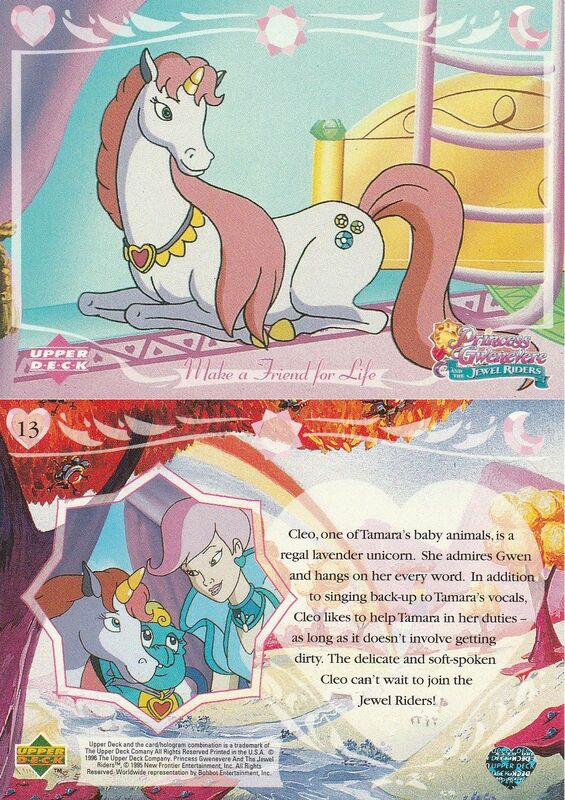 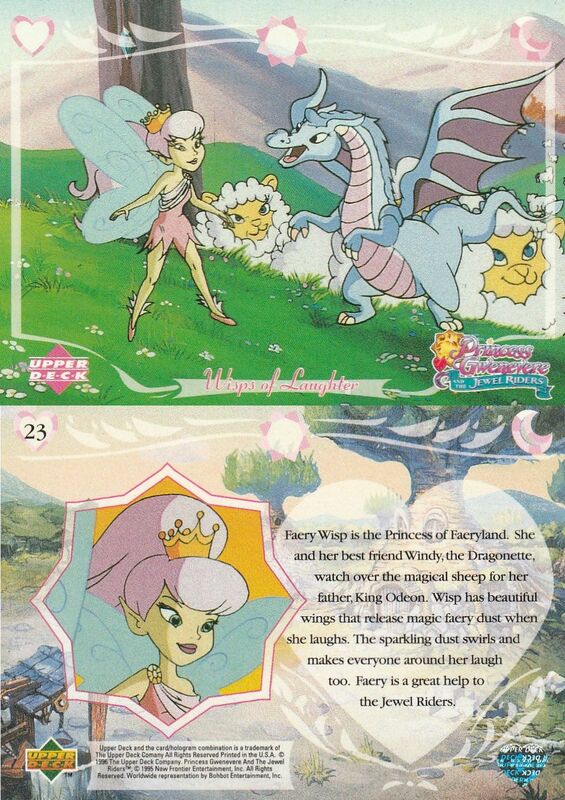 Heartland Farm is where magic animals are raised before they bond with a future Jewel Rider! 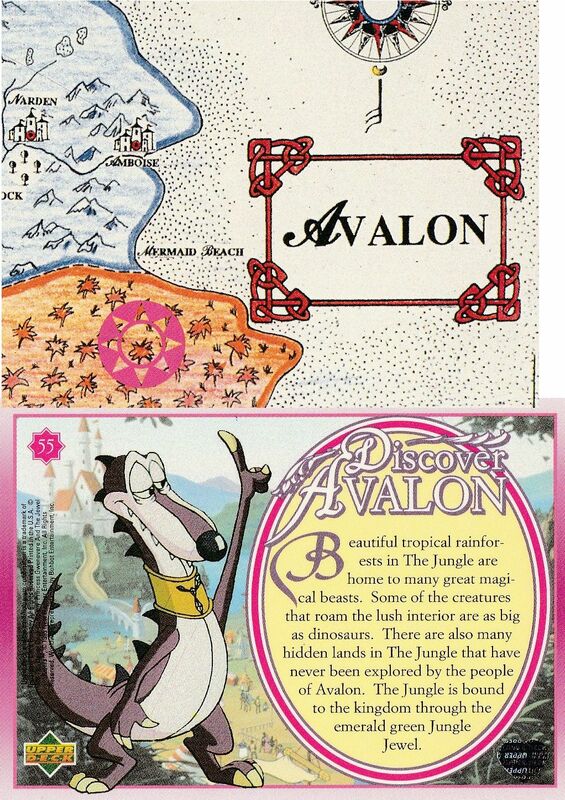 But some animals just come to visit and play. 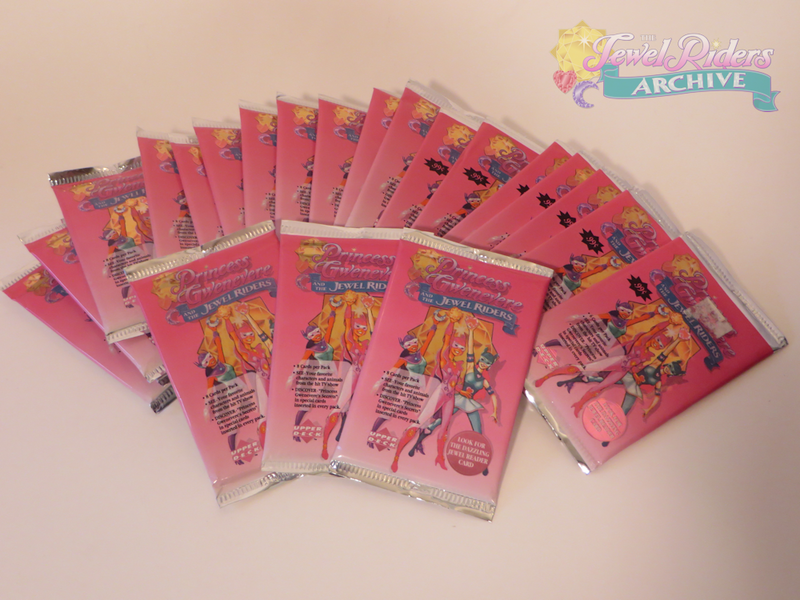 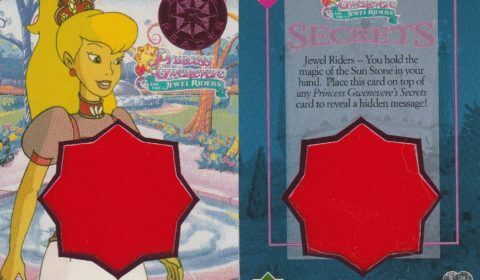 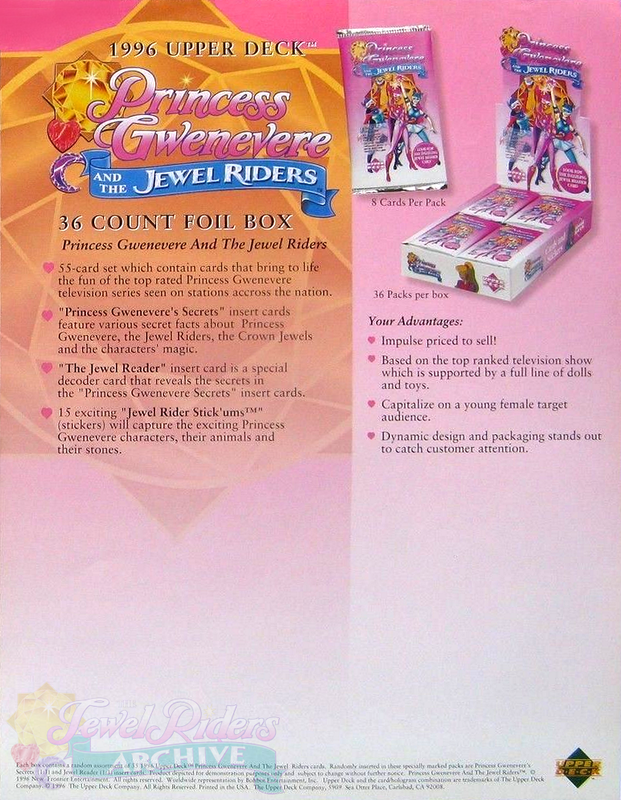 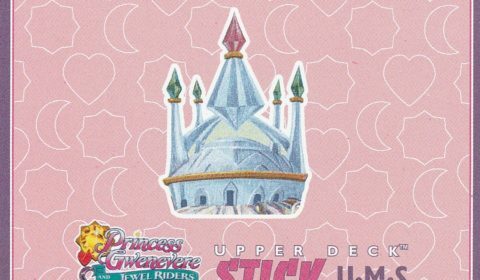 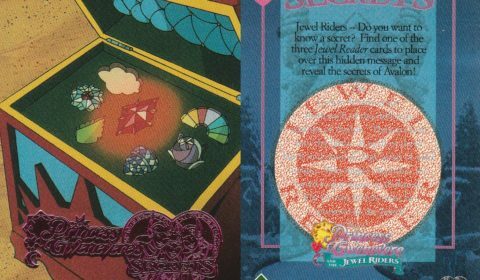 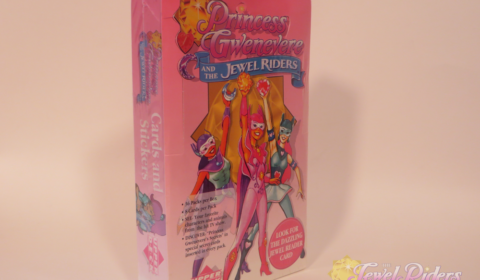 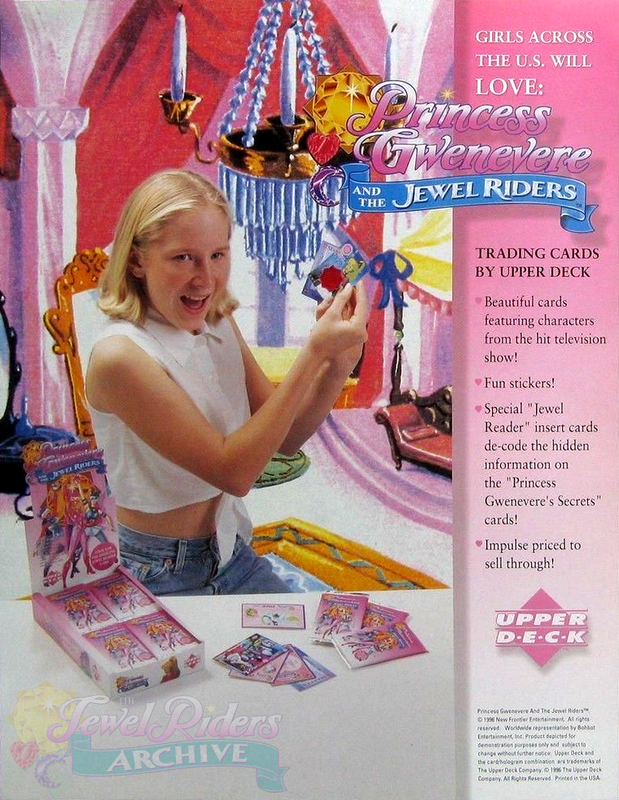 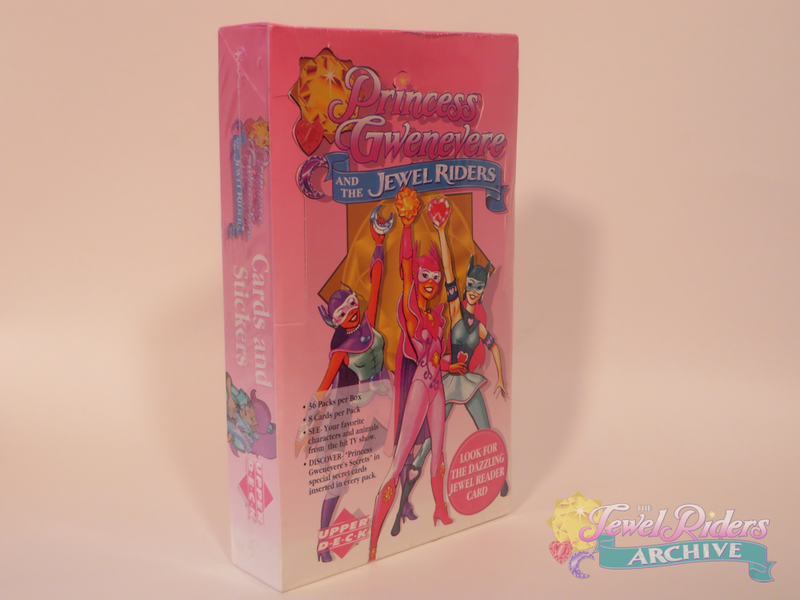 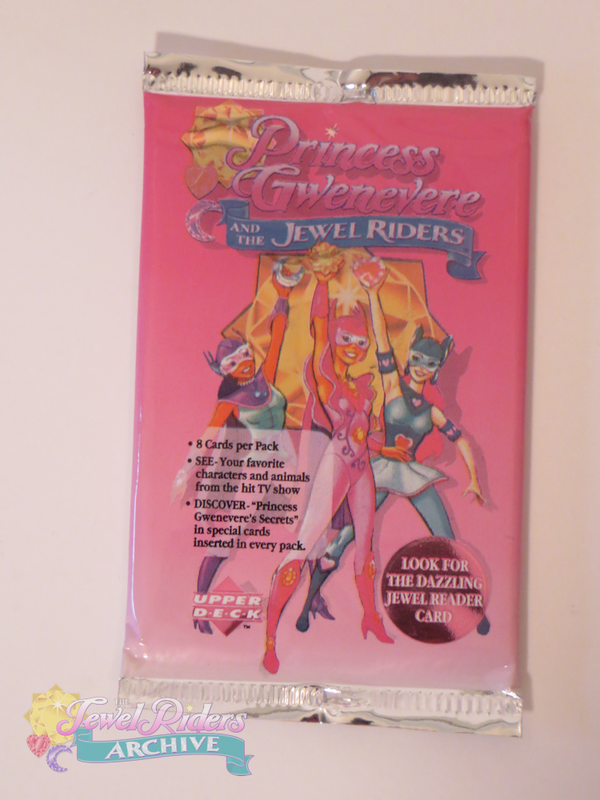 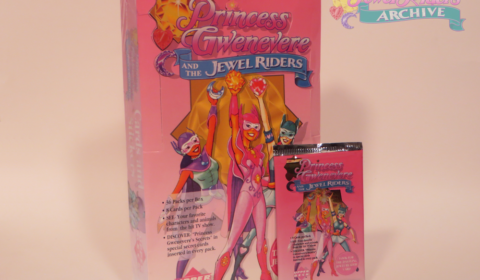 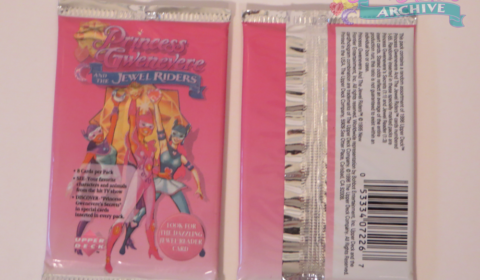 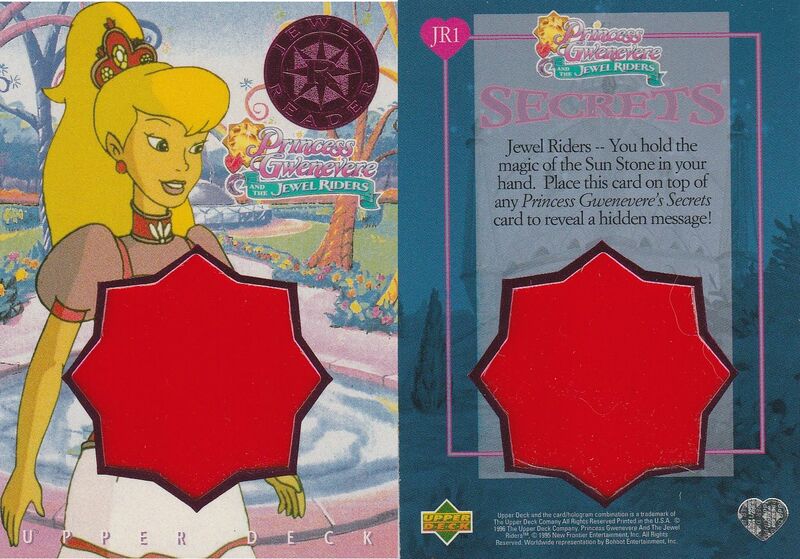 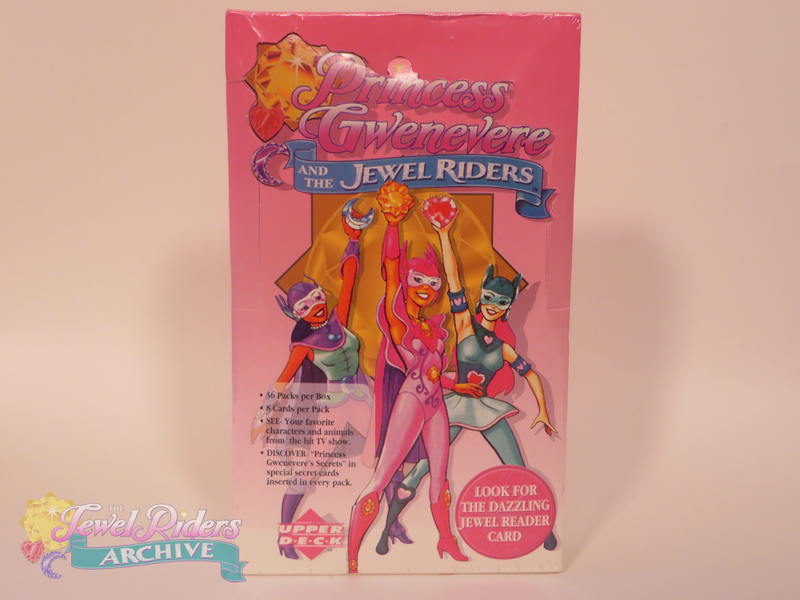 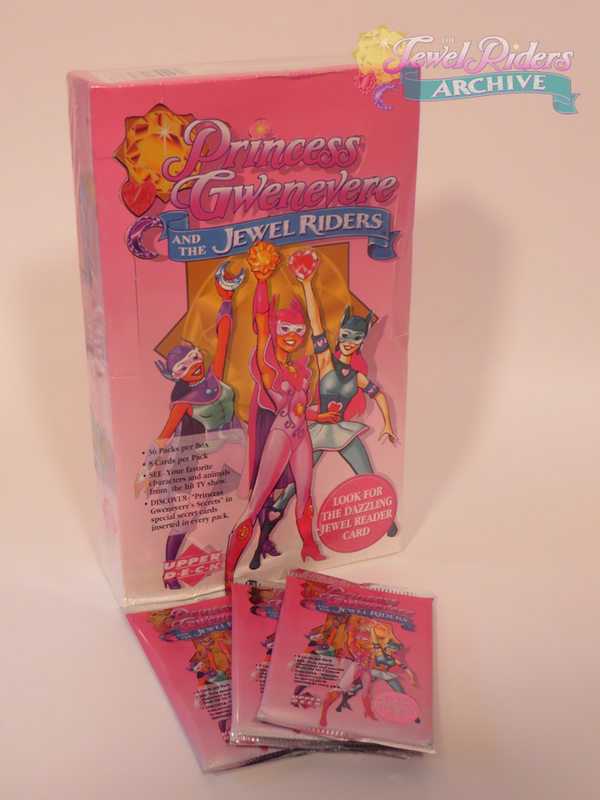 Enchanted Jewels magically create “Jewel Armor” which protects the Jewel Riders when they ride the wild magic. 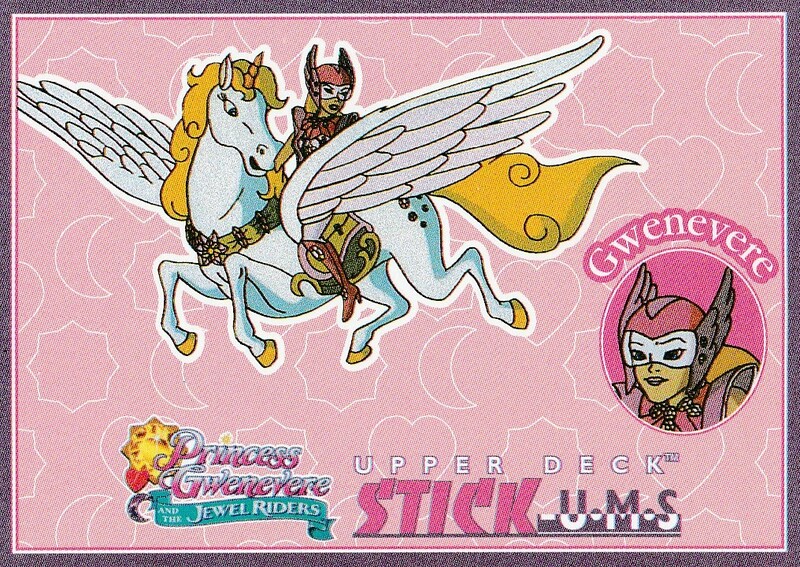 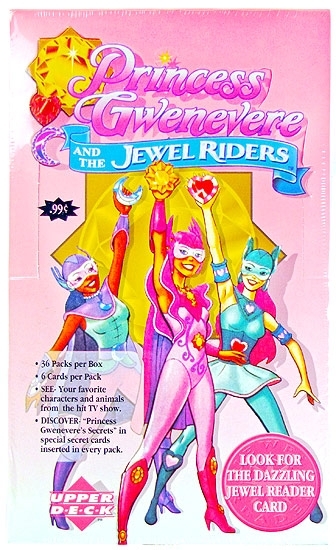 Level One Jewel Armor is what beginning Jewel Riders wear. 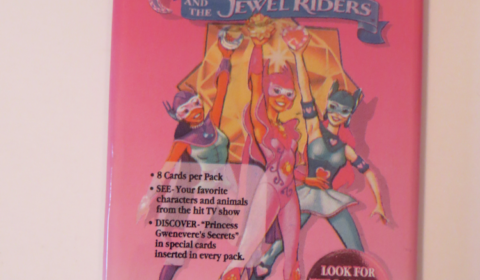 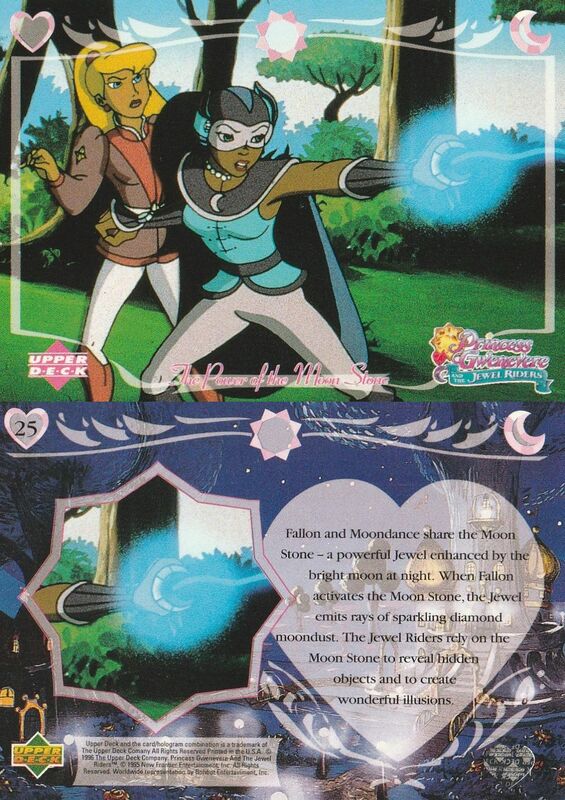 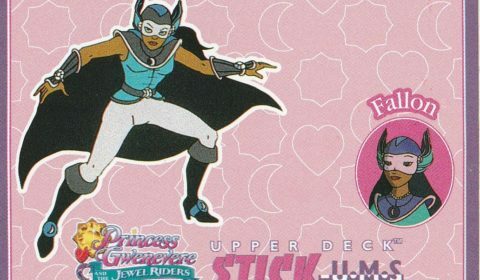 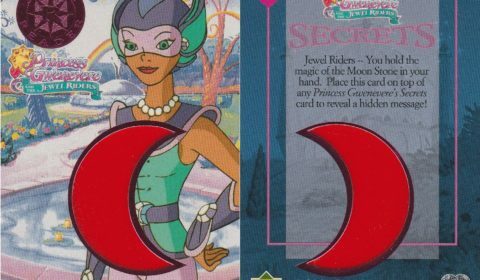 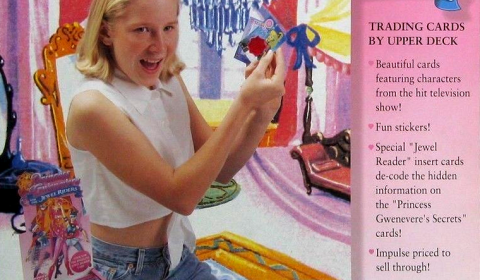 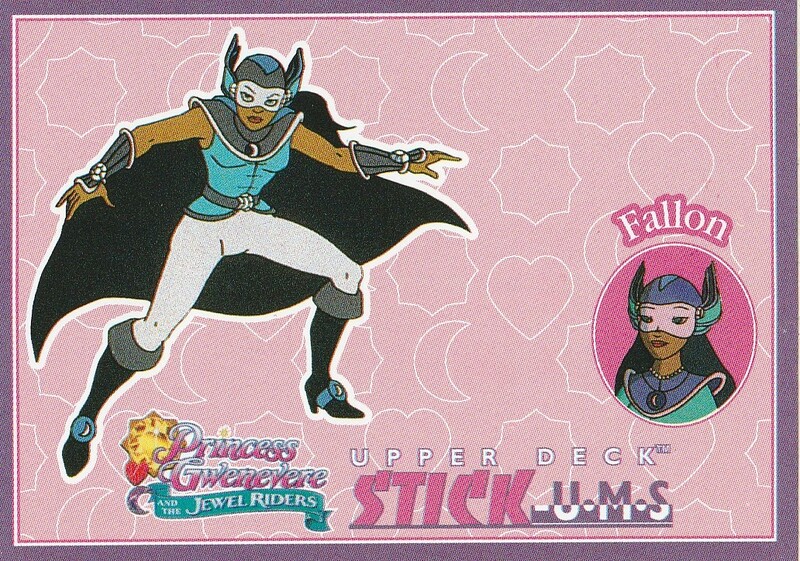 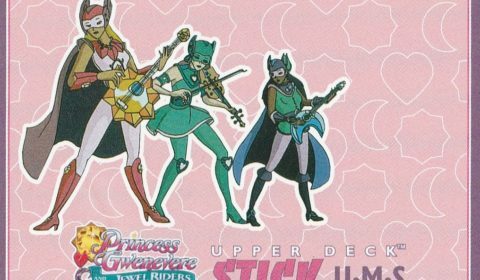 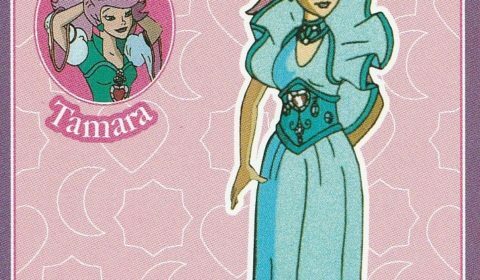 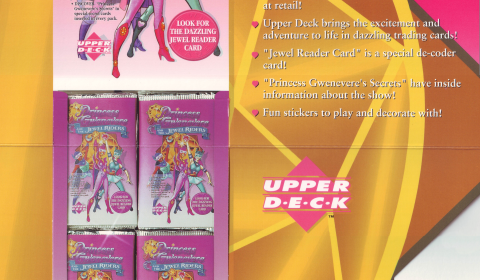 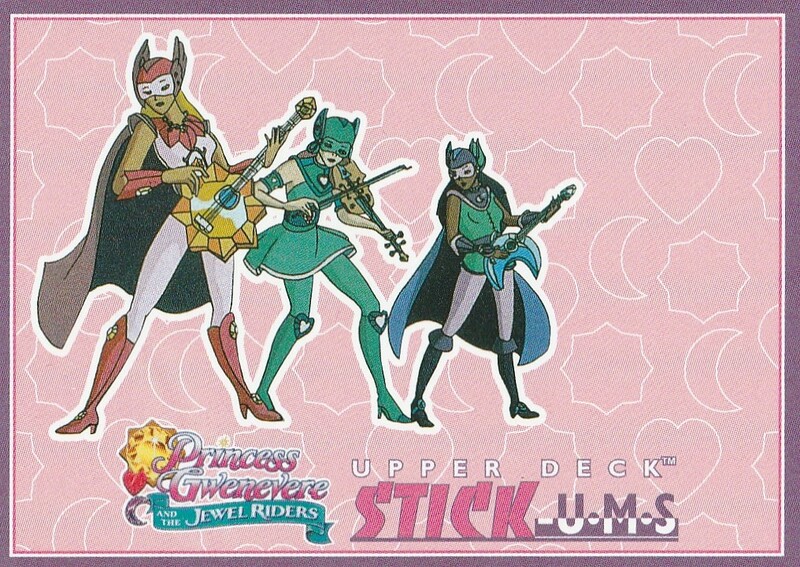 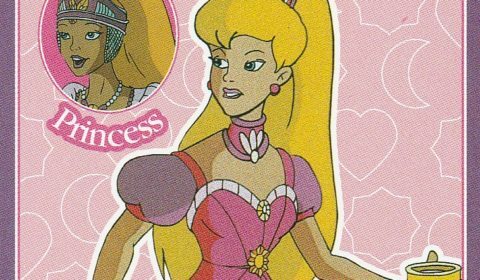 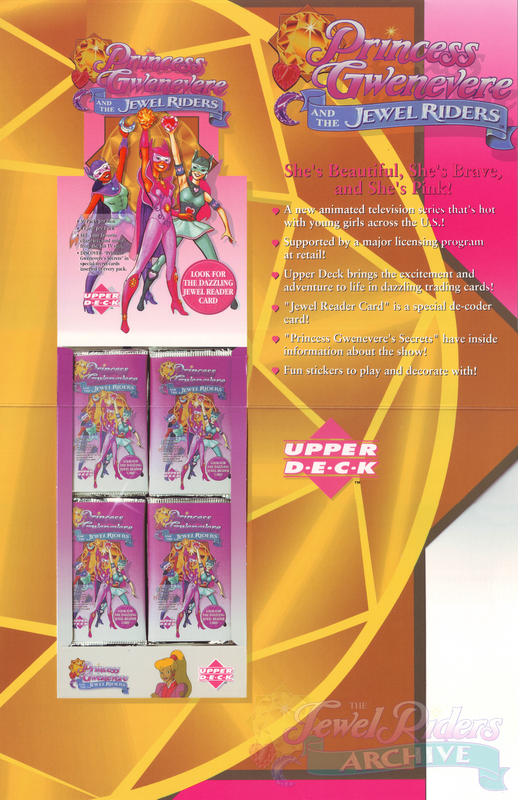 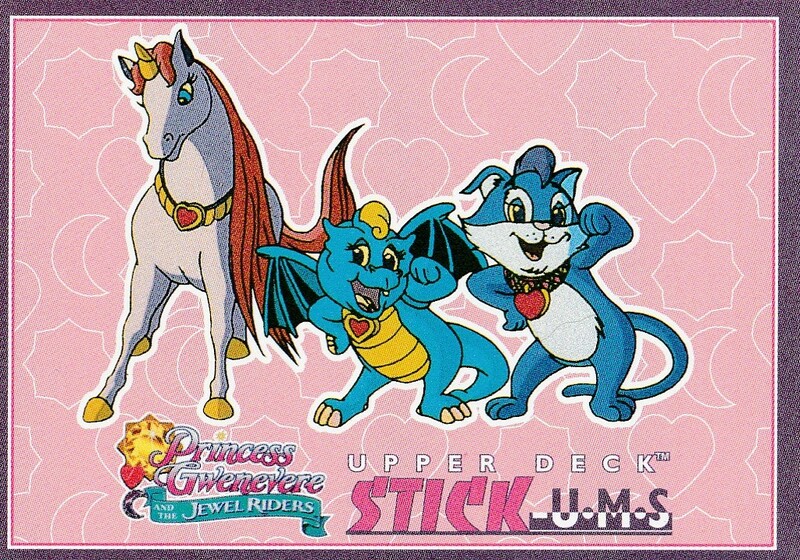 With more knowledge, the girls’ jewels create Level Two armor for stronger magic. 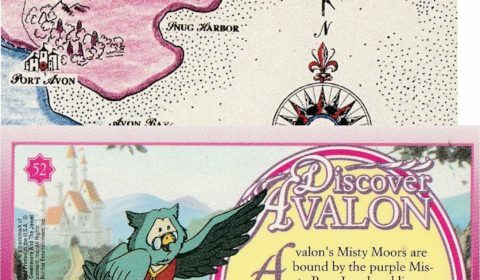 Avalon is a place full of wild magic. 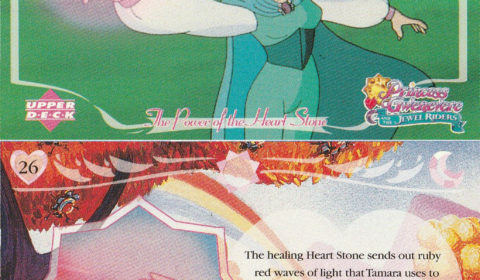 It flows through the land like electricity. 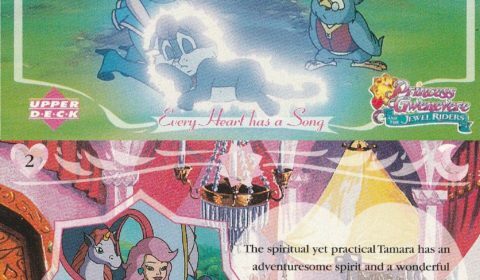 Music excites the wild magic, stimulating positive energy. 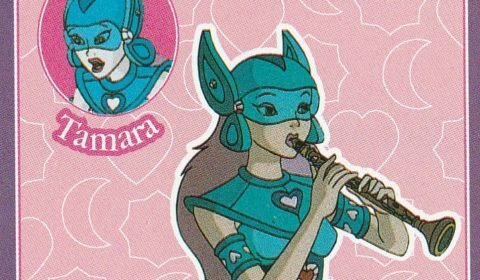 If you sing and play music, wonderful things always happen. 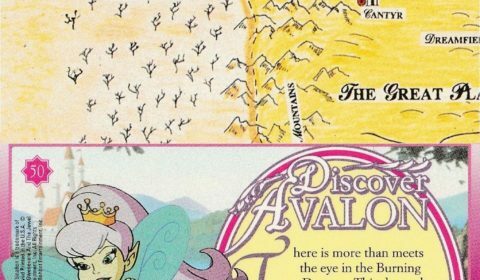 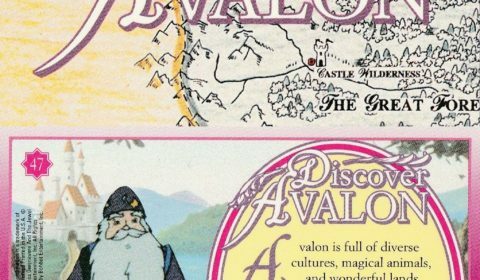 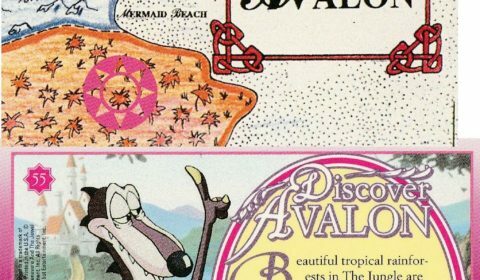 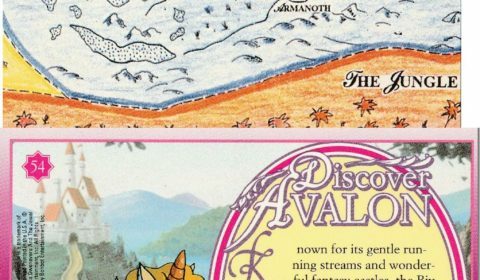 With good music and good magic, Avalon will remain vibrant and strong. 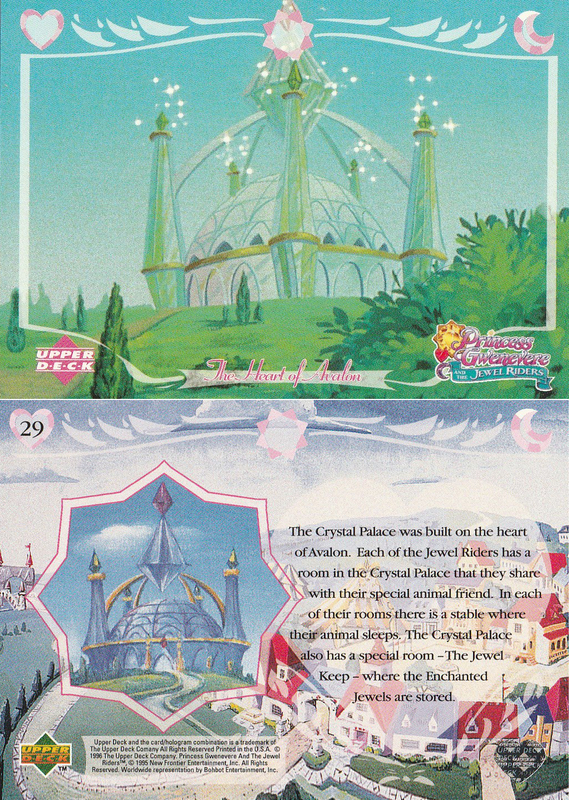 Merlin built the Crystal Palace as a giant Enchanted Jewel to resonate goodness across the land. 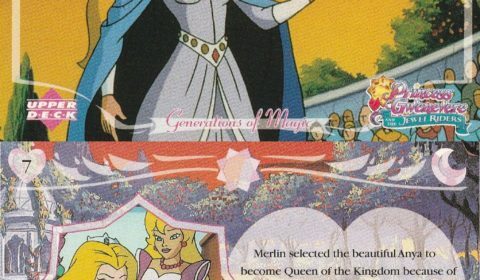 From the palace, the King and Queen conduct their business. 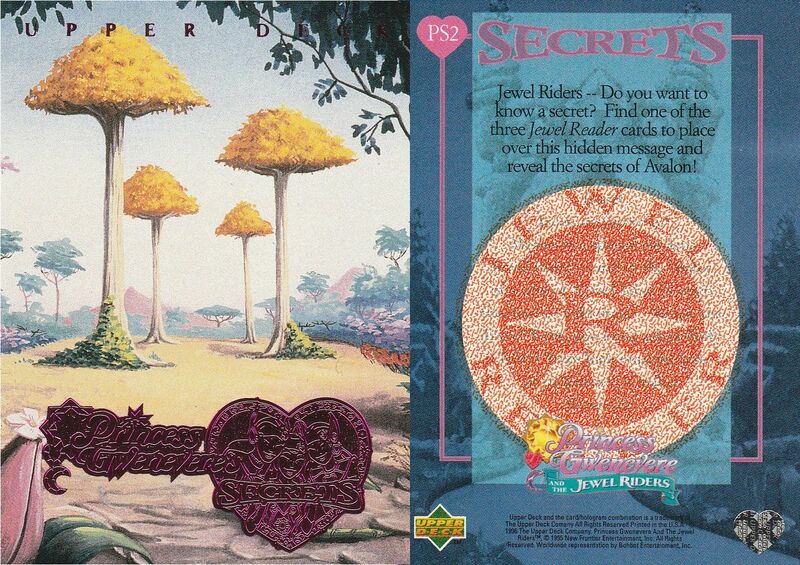 Behind the palace, in the Enchanted Gardens, there is a special ring of Travel Trees.